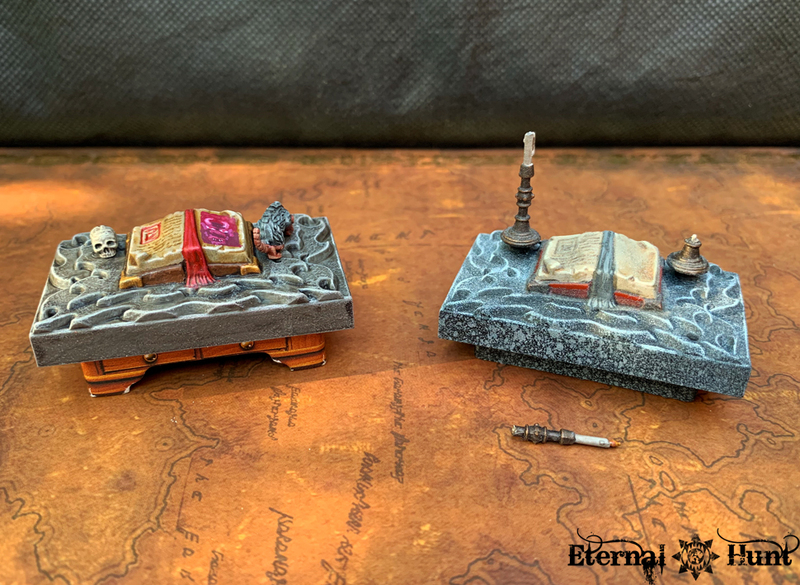 I decided to start with the sorcerer’s table, a nice and straightforward beginning. 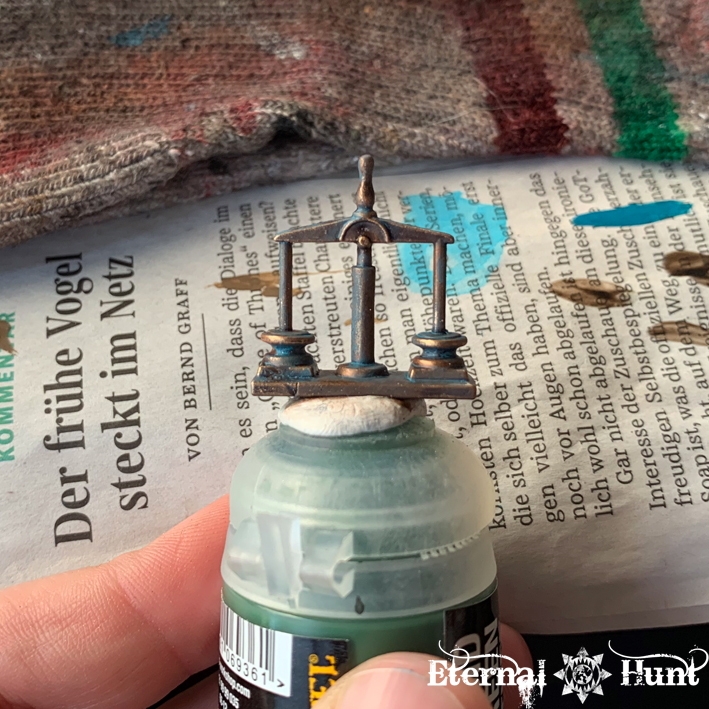 Blocking in the base colours, then working with washes and a heavy drybrush to create the table’s stone texture was relaxing work. 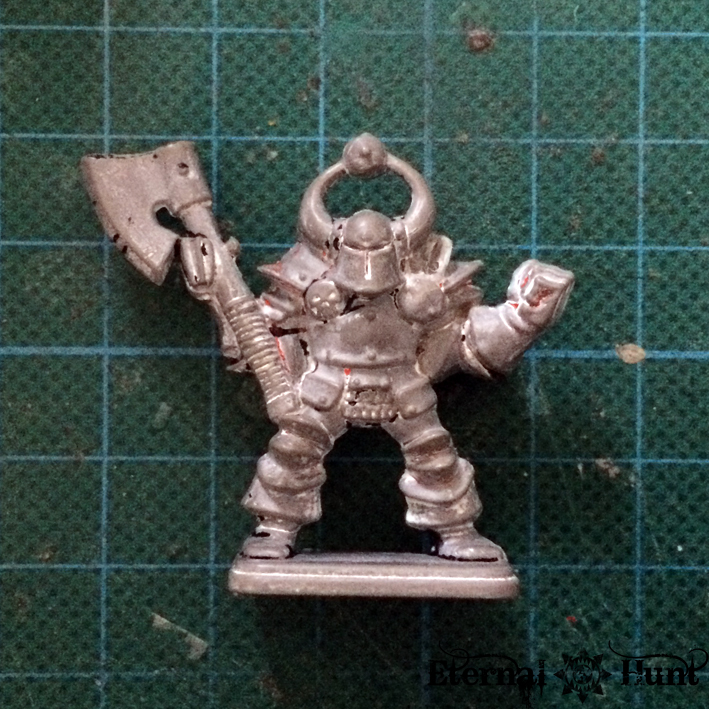 Do you recognise what this is supposed to be…? 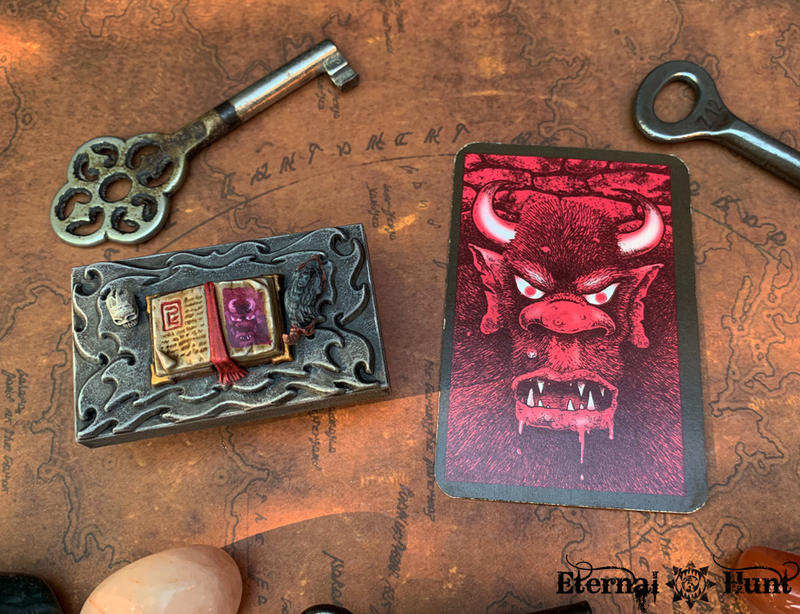 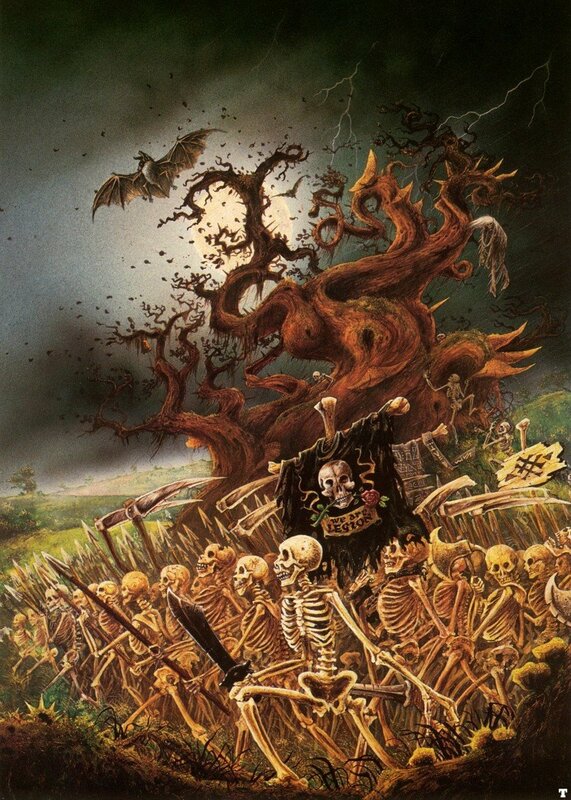 Quite right, it’s a miniature version of the Gary Chalk illustration that appears on the back of the monster cards (incidentally, the same creature also makes another appearance on the cards for “wandering monsters”). 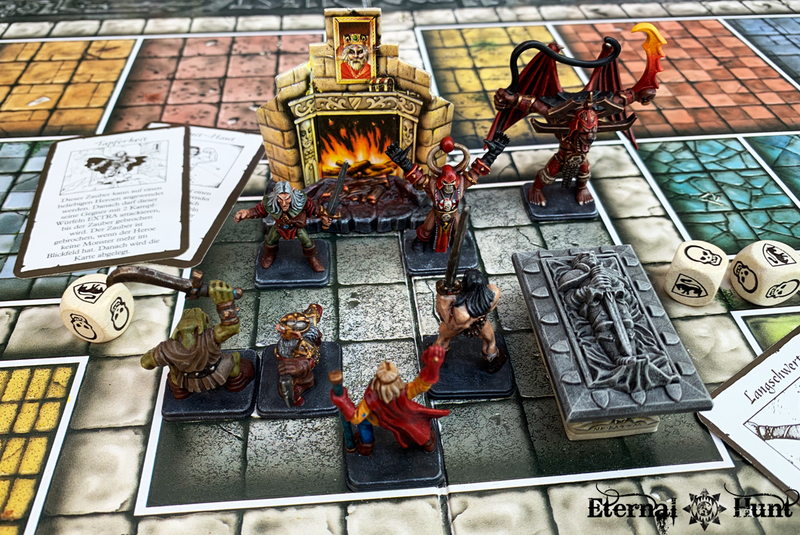 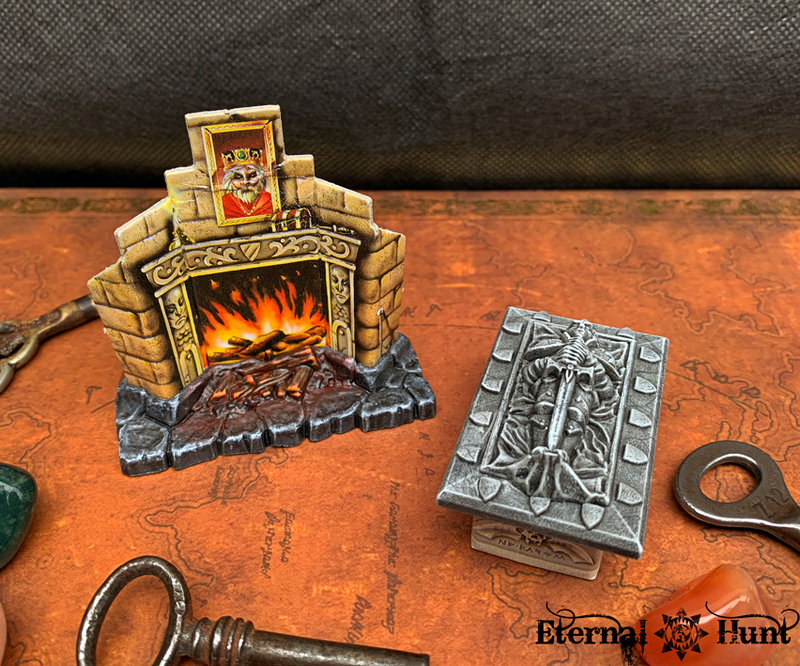 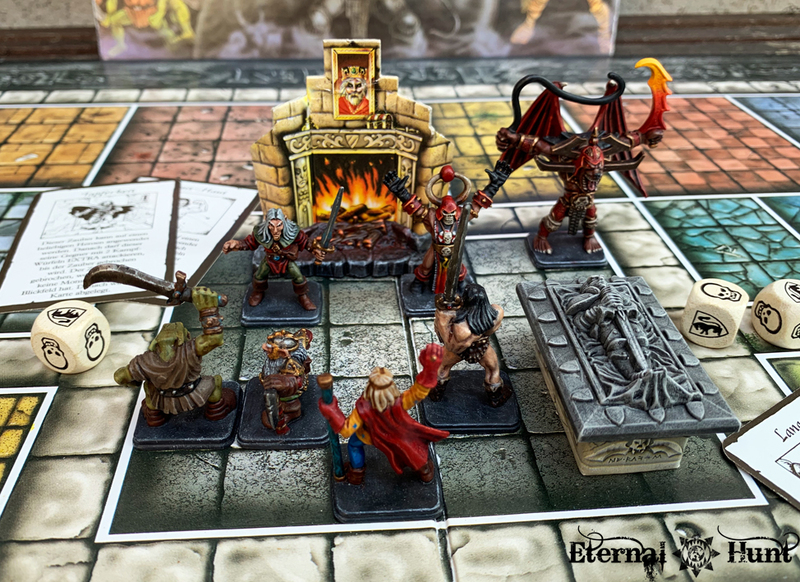 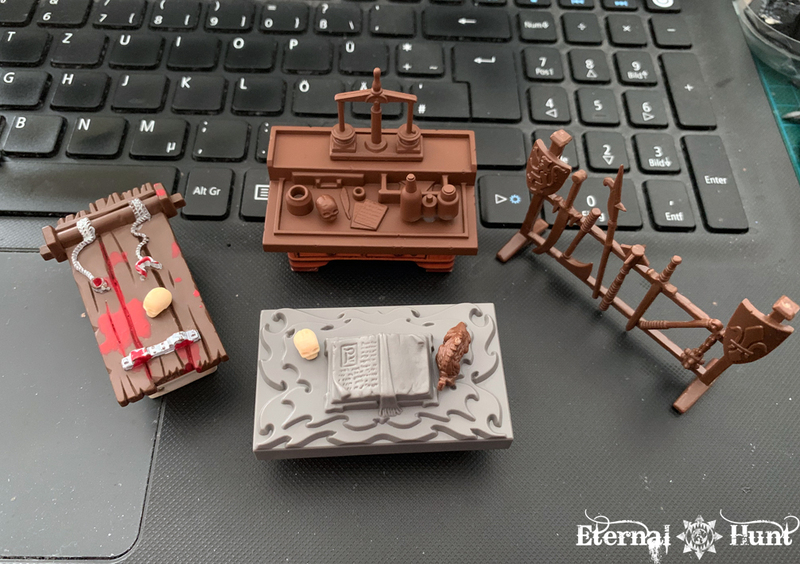 If you are familiar with HeroQuest related trivia, you may also be asking yourself: “What about the candles?” Because each sorcerer’s table originally came with two candles (complete with flames) that were, invariably, the first parts to break or be lost, apparently: Nearly every owner of a HeroQuest set has to mitigate the fact that those chandles are likely to be lost or incomplete. 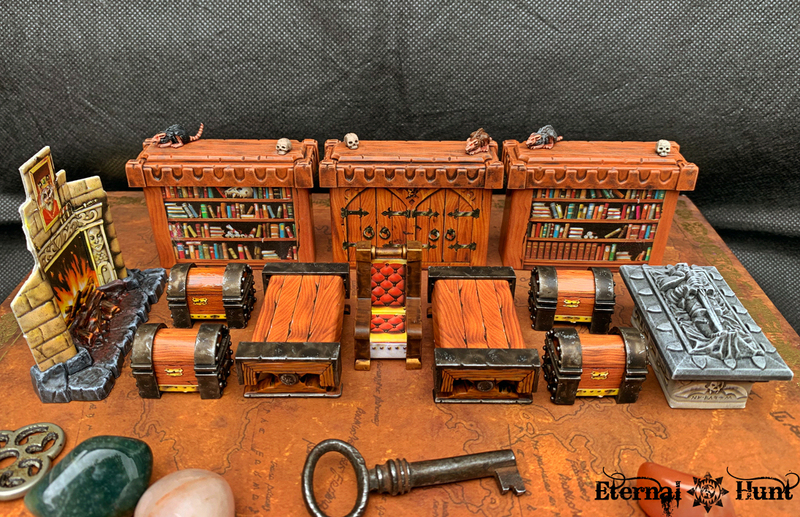 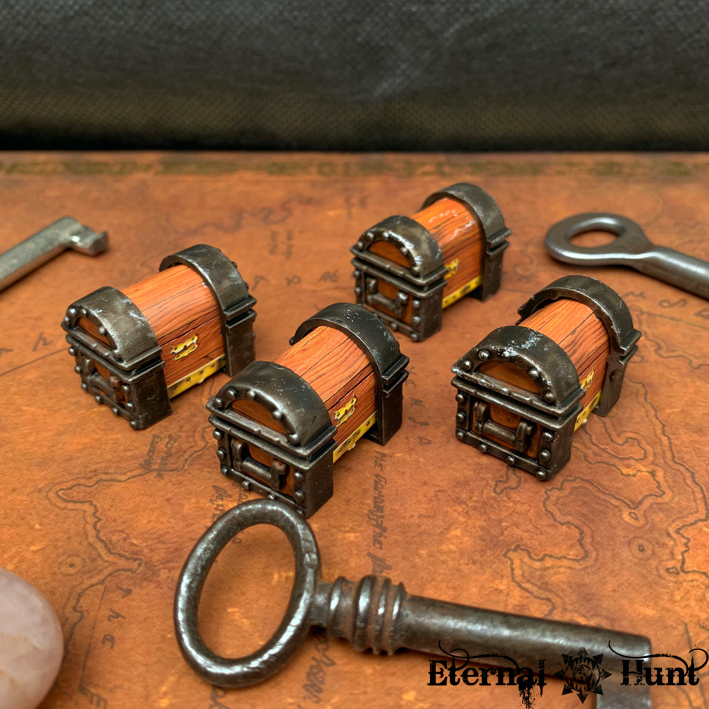 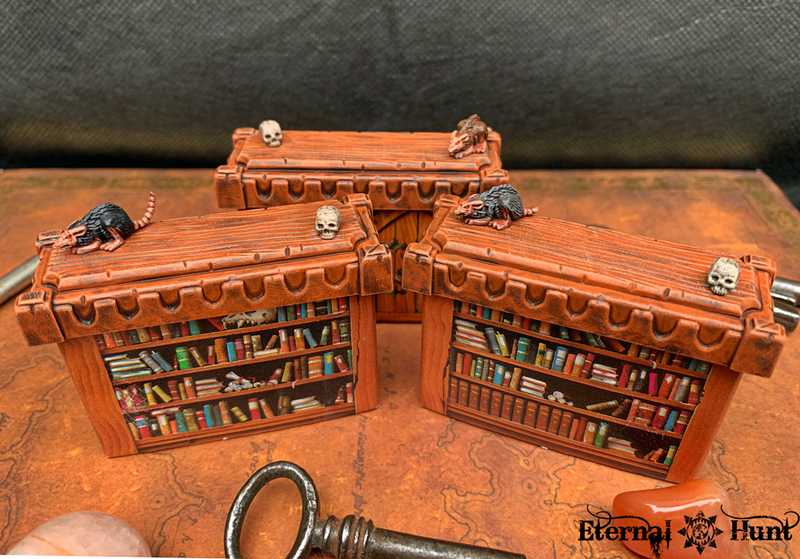 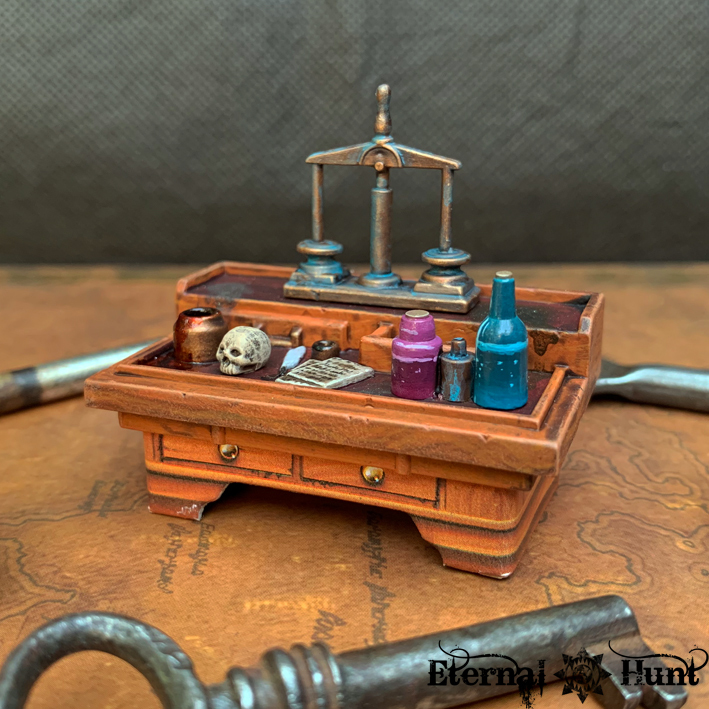 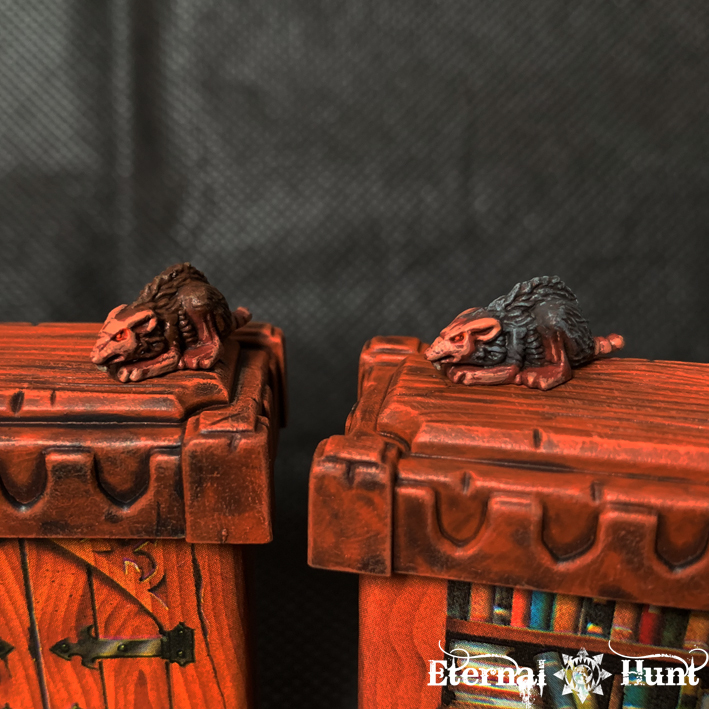 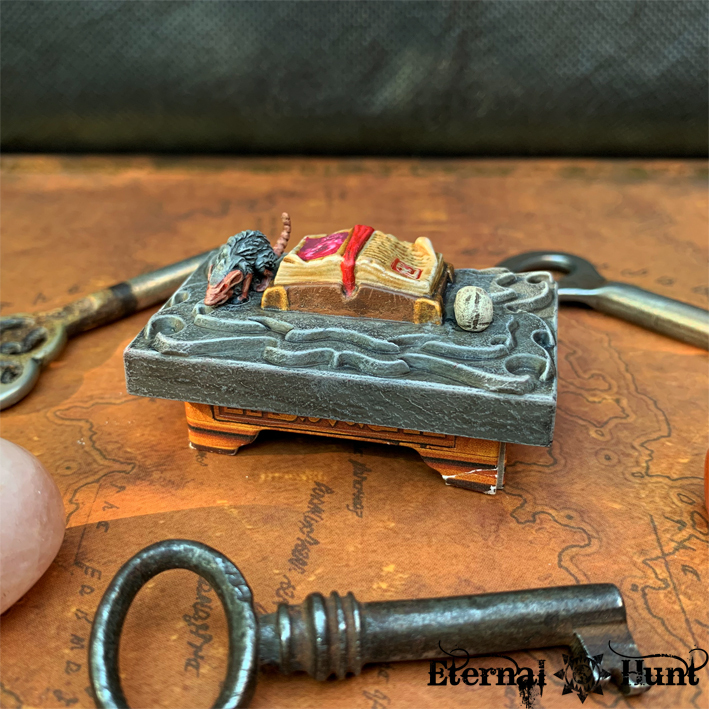 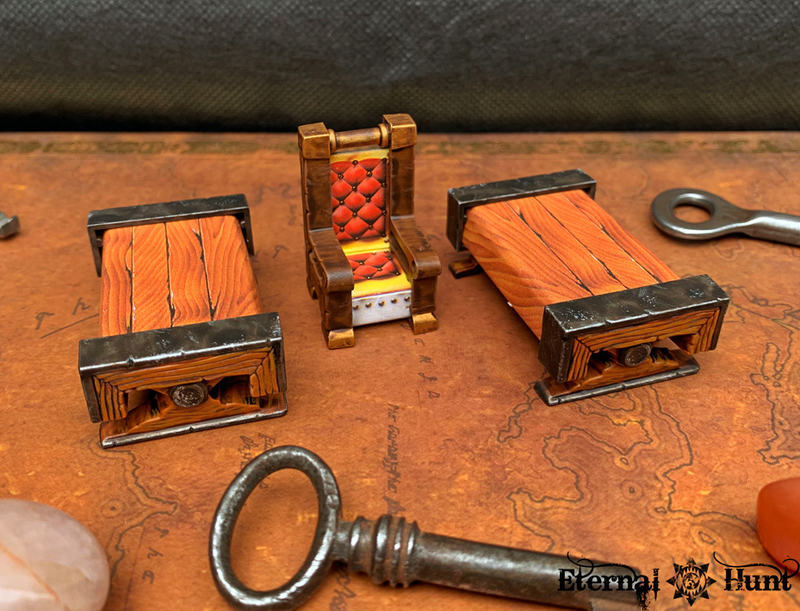 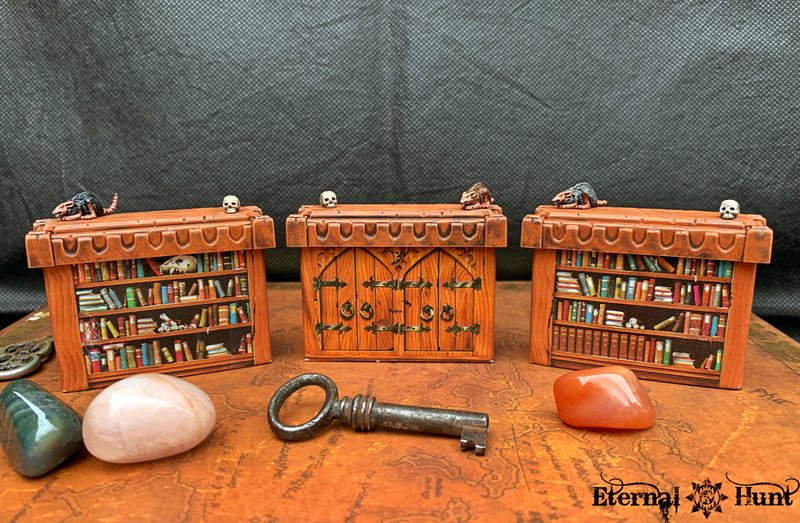 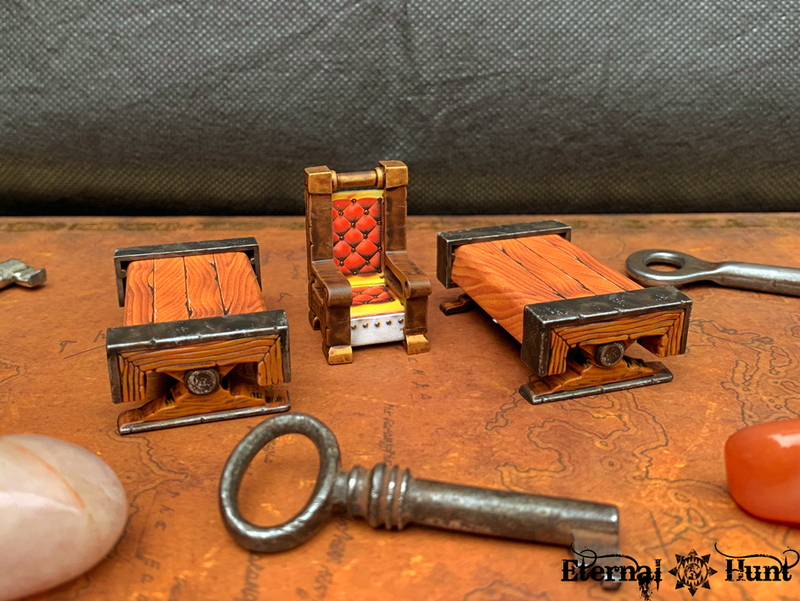 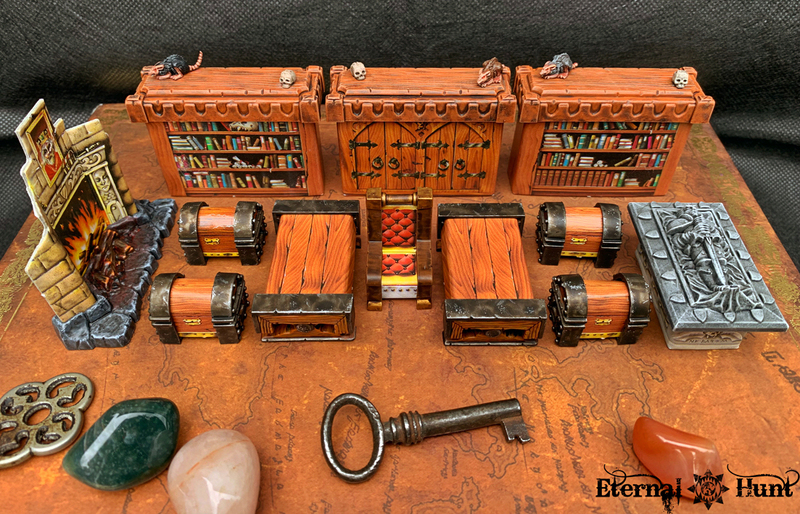 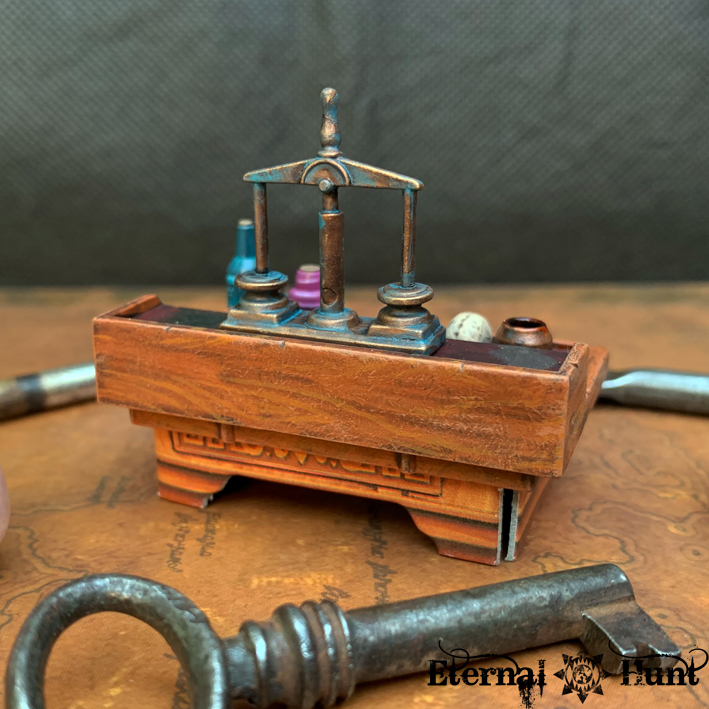 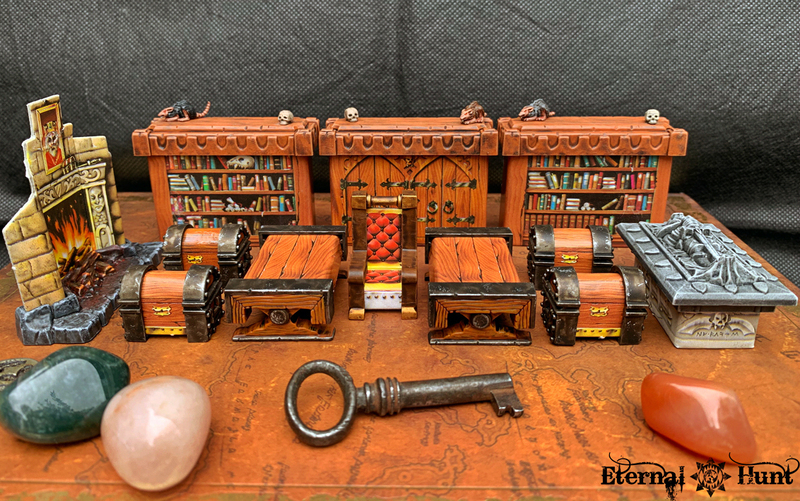 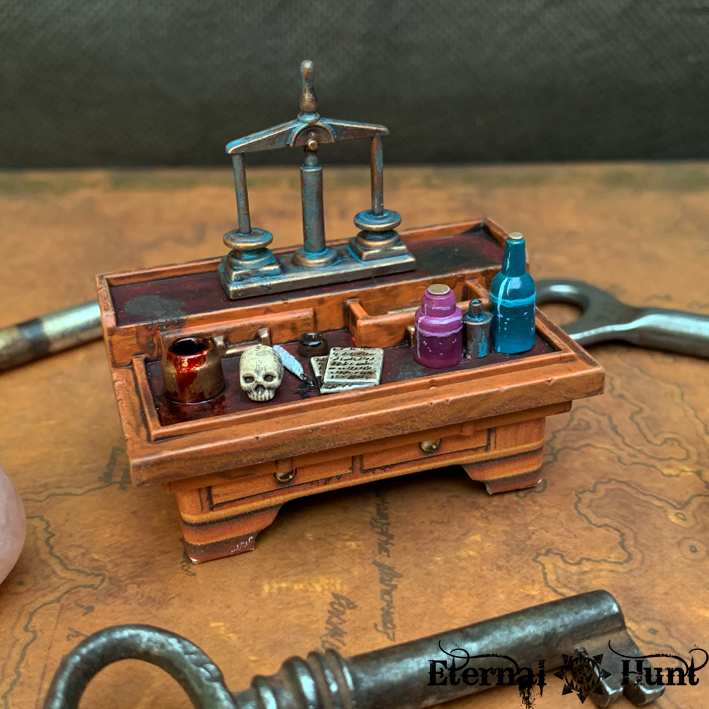 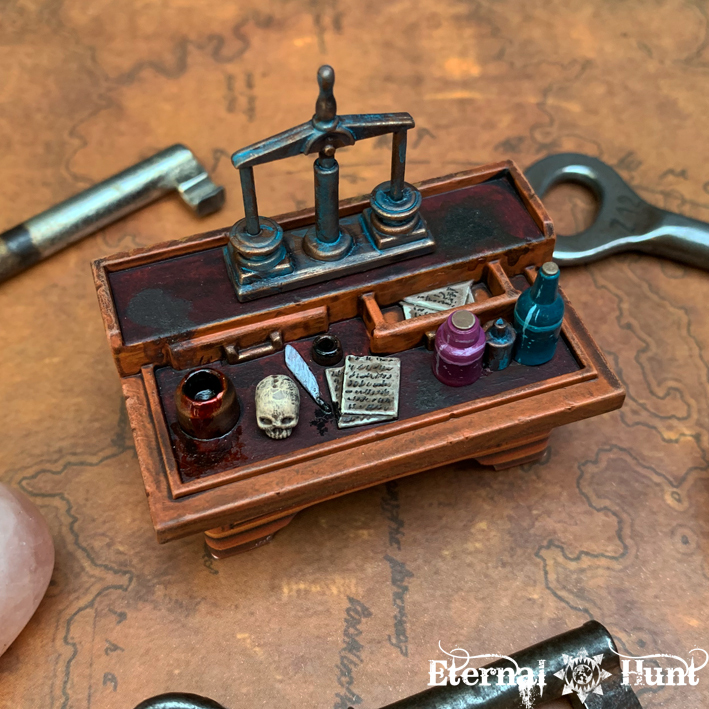 Next up was the alchemist’s bench, easily one of the most interesting parts of HeroQuest’s furniture set — oh, sure, it may look all boring and angular, but as we’ll be seeing in a minute, this is a piece where you can really give it your best shot as a painter. 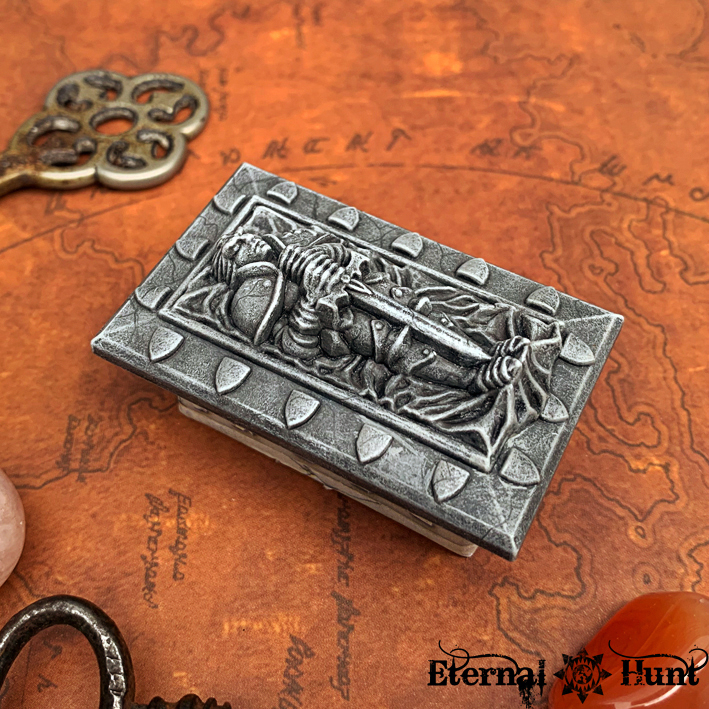 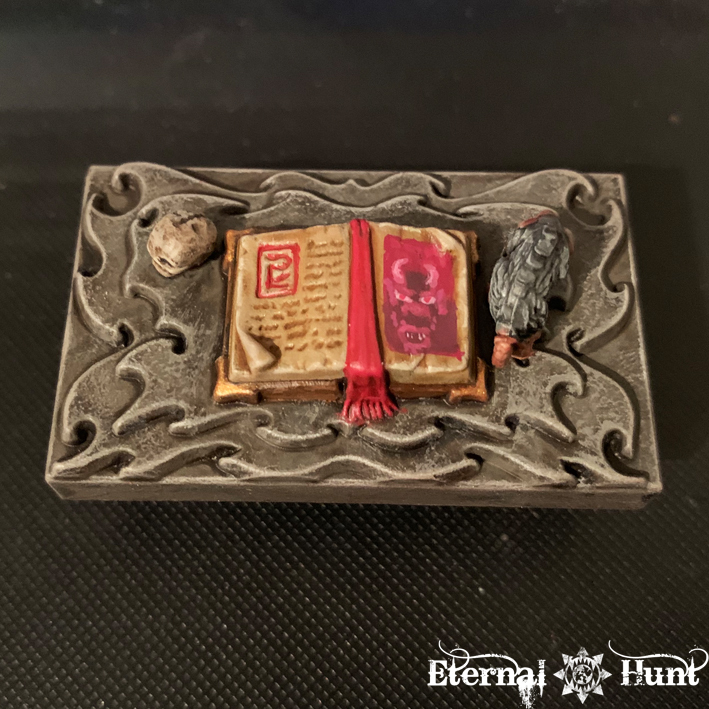 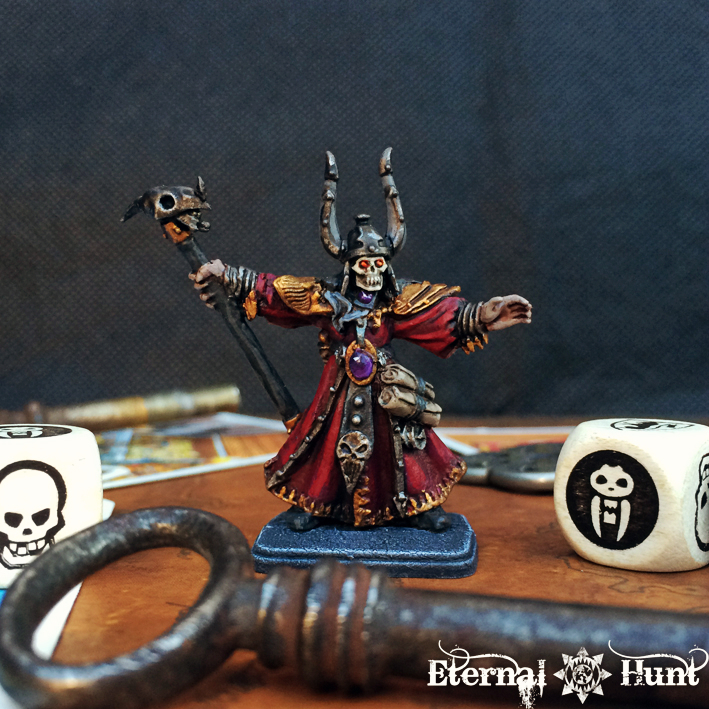 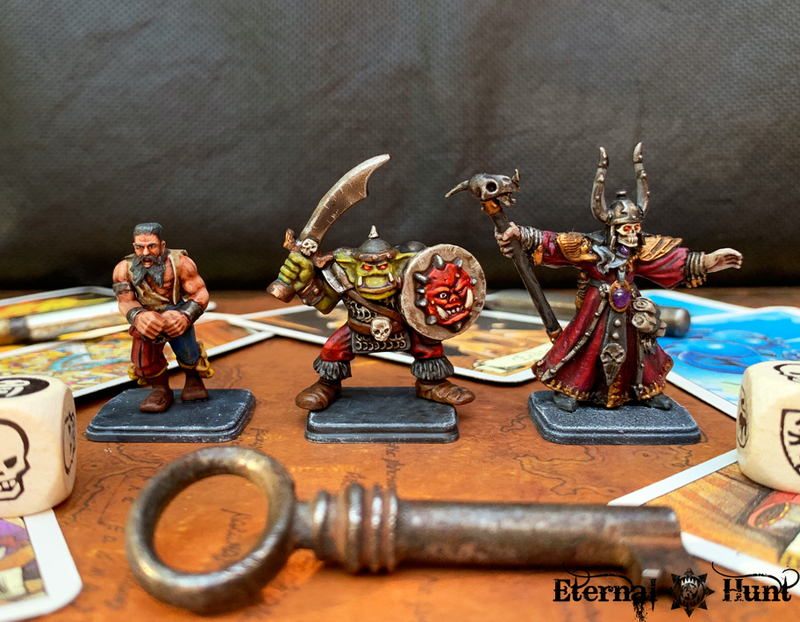 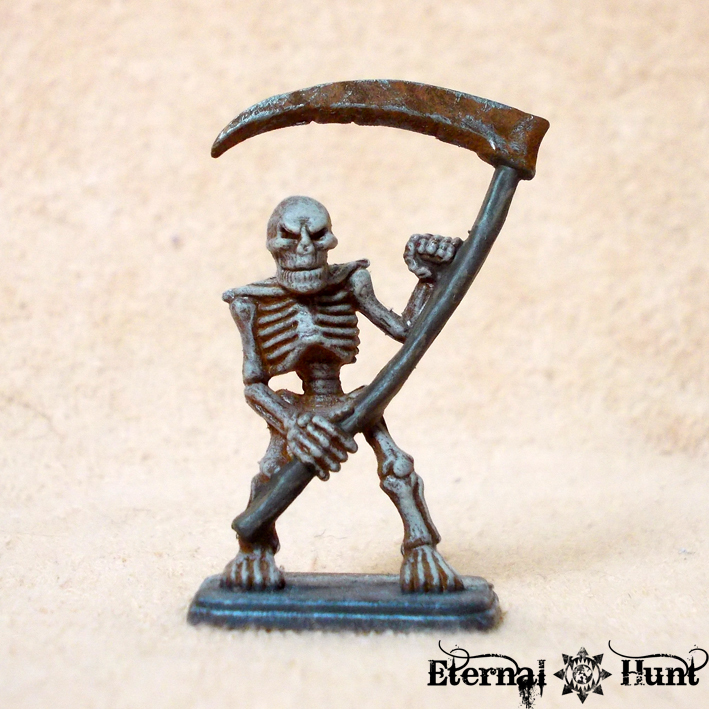 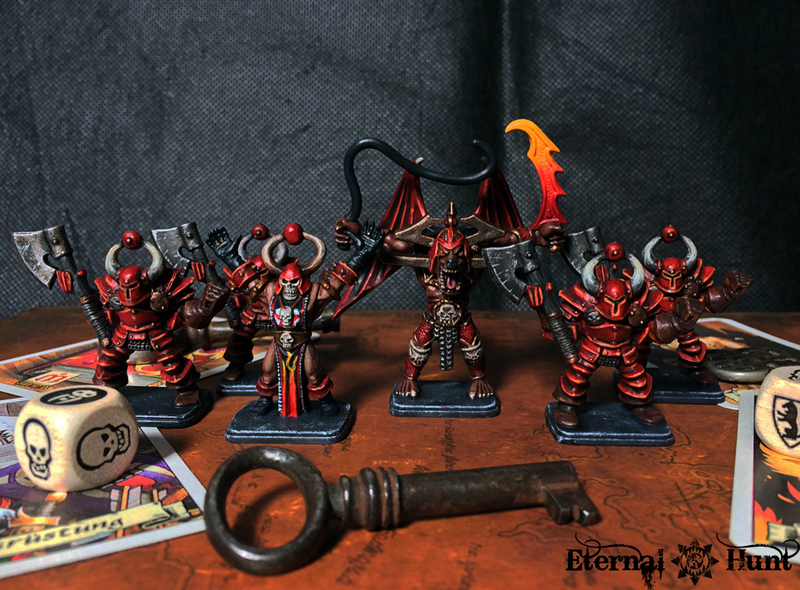 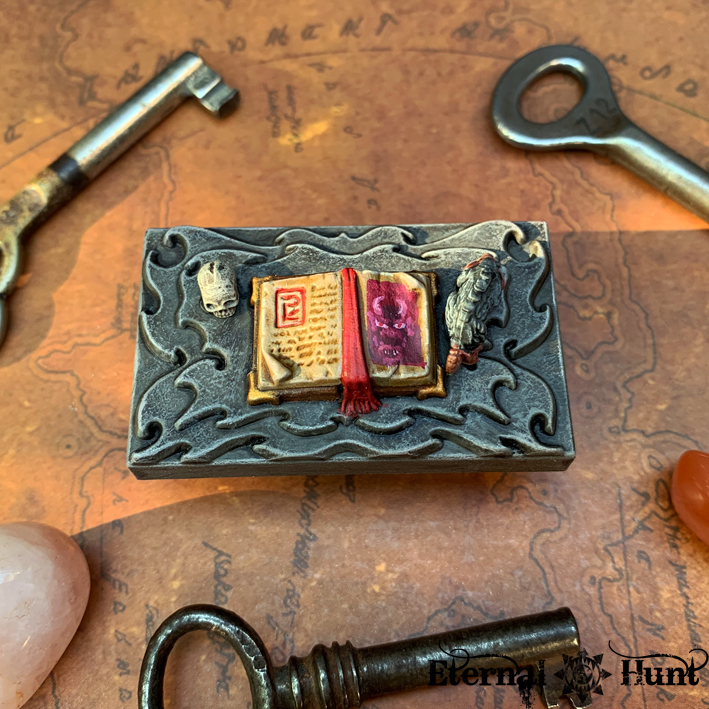 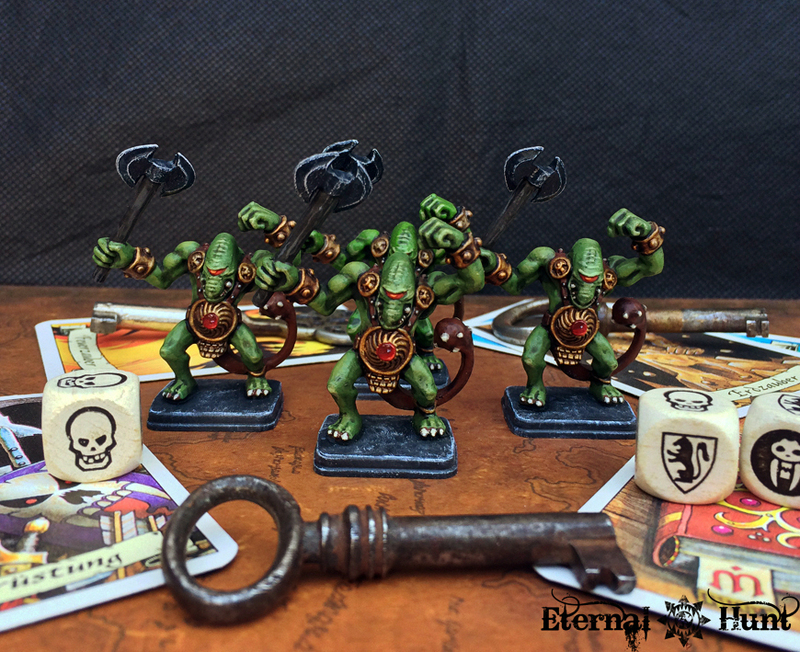 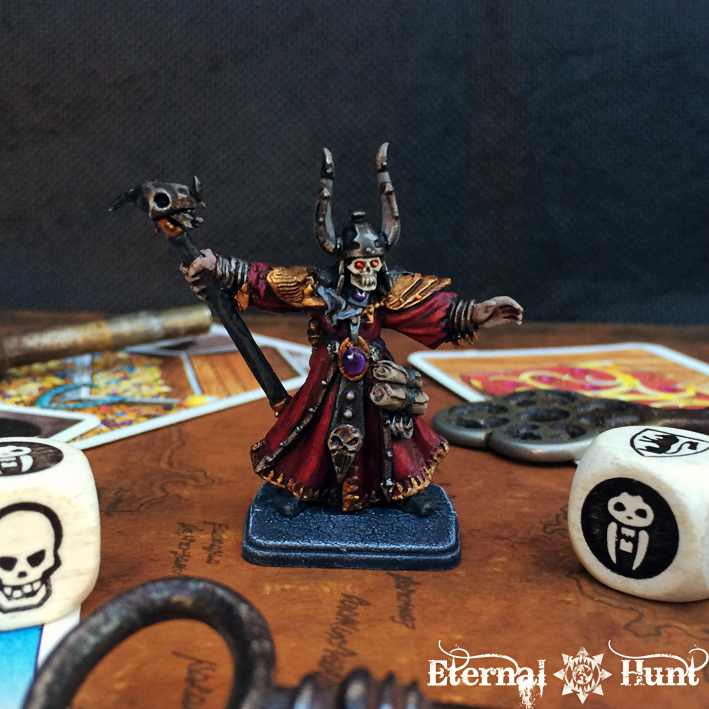 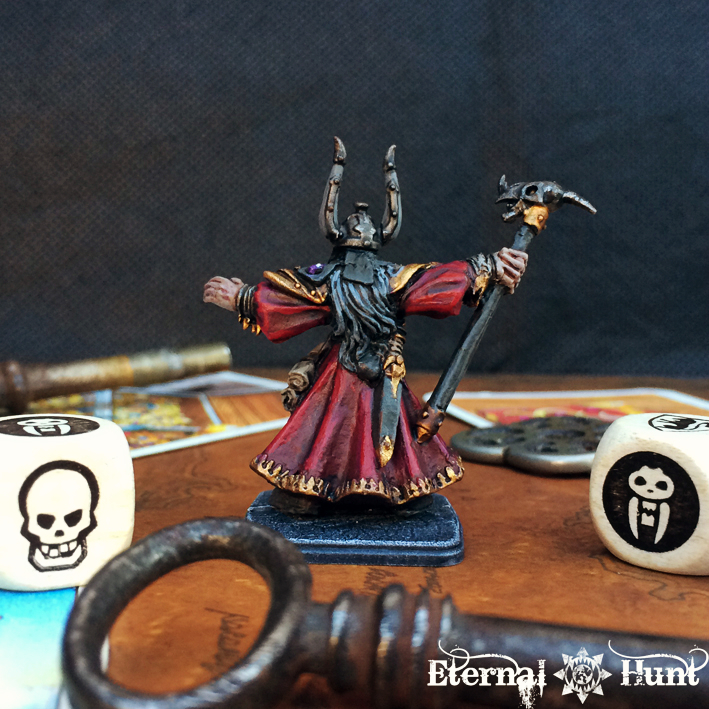 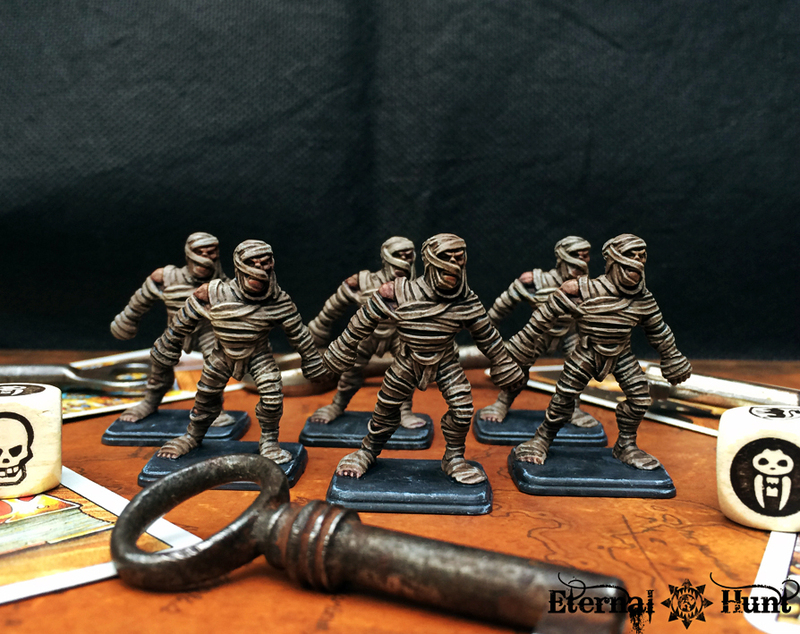 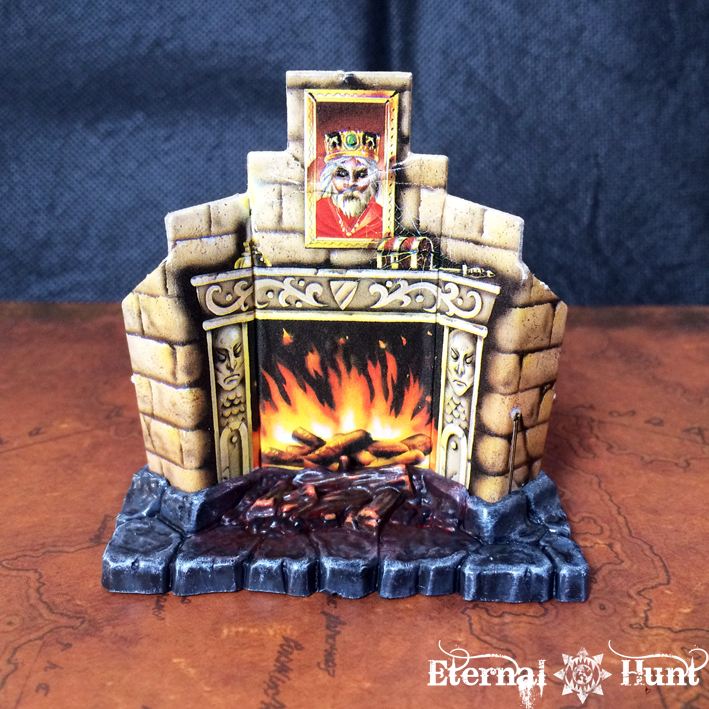 When all is said and done, this was one of the most rewarding pieces in the entire set to paint, and it’s also one of my favourite parts of my HeroQuest collection now. 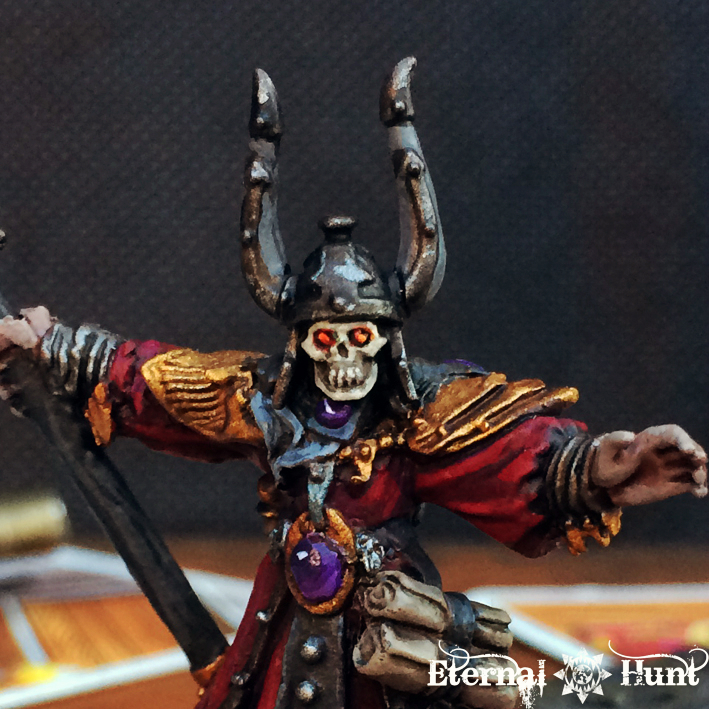 Before we pack up for the week, there’s one last model I want to share with you today — and it has nothing whatsoever to do with furniture. 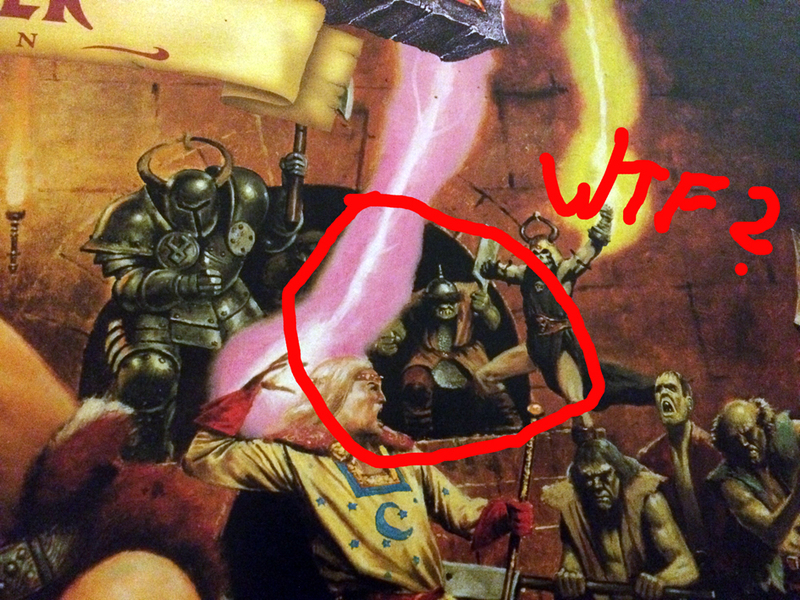 So what is this about? 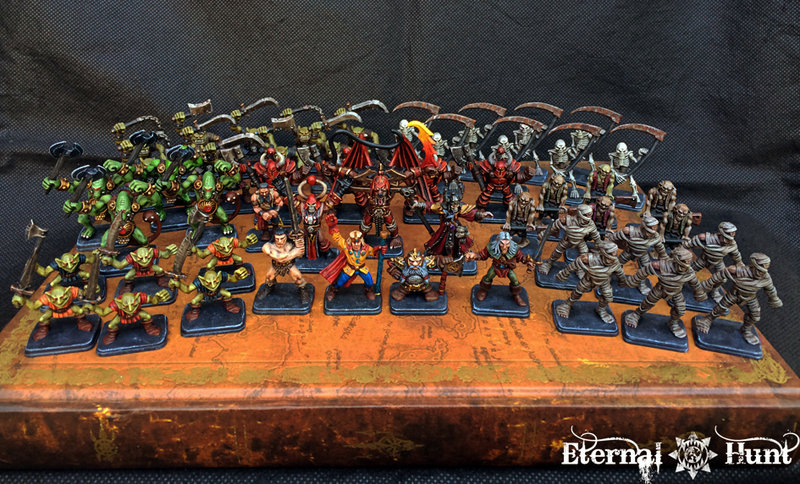 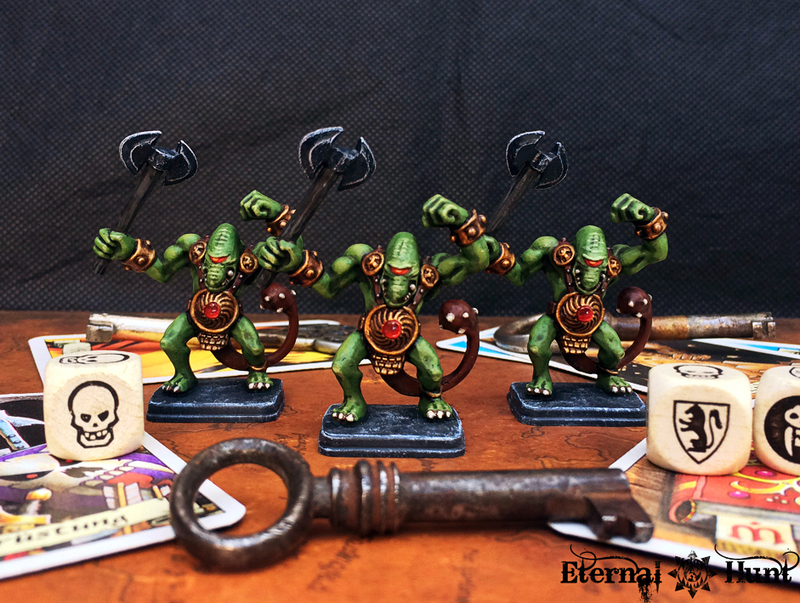 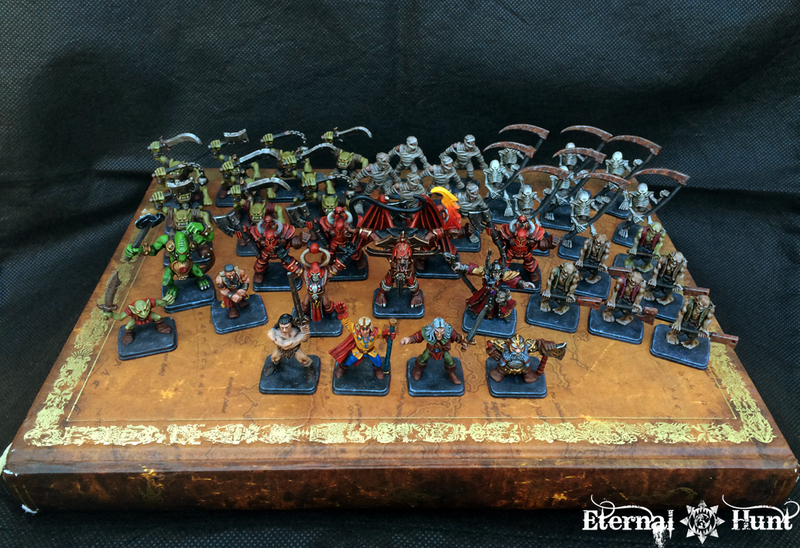 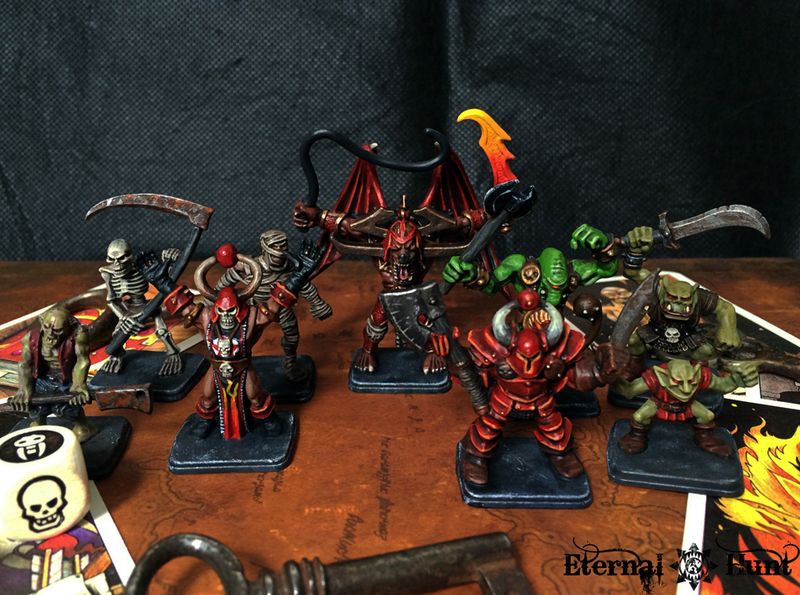 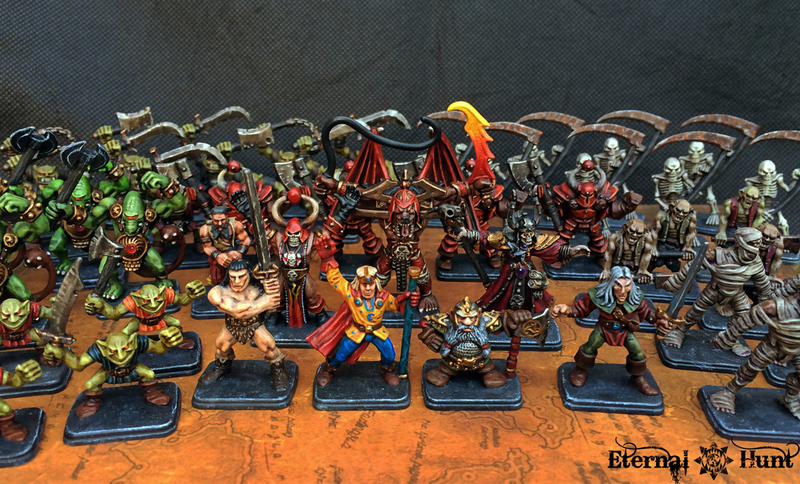 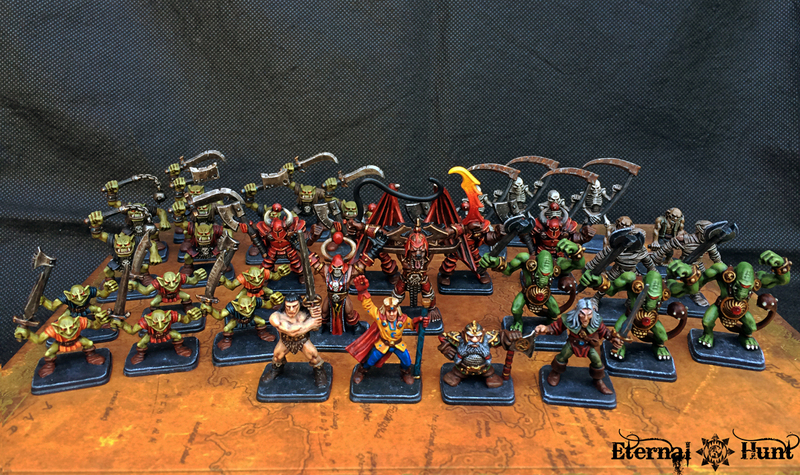 Of course I do realise that, technically speaking, the hero and monster models are all done and dusted. 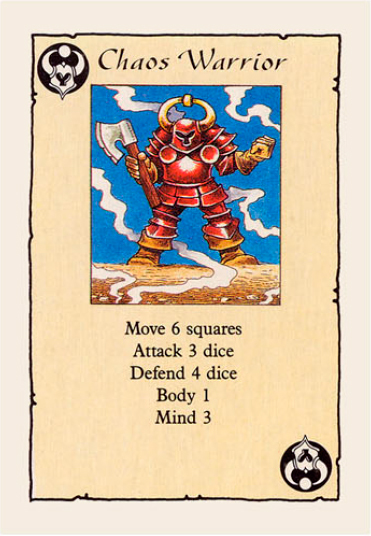 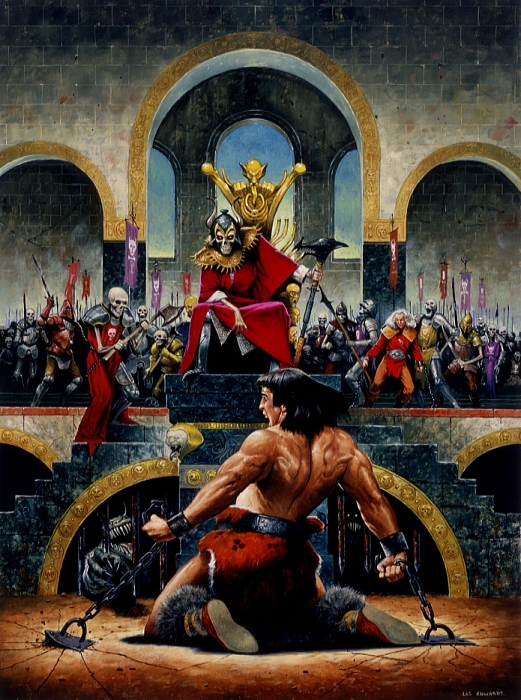 But there was still one last addition I wanted to make to my collection: You see, there are two quests in the HeroQuest quest book that call for an Orc character, namely an Orc warlord named Ulag and, slightly later, his son Grak. 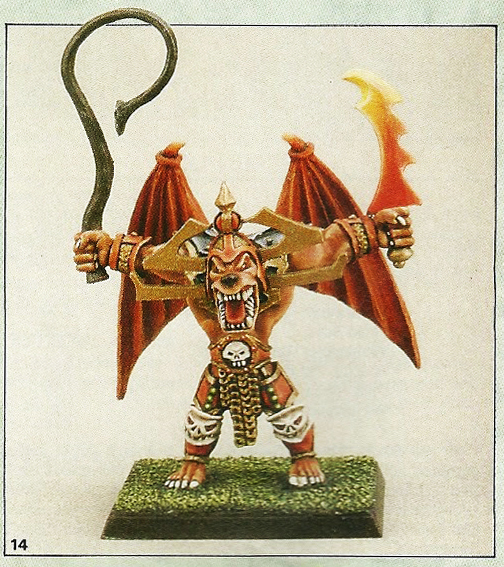 And while the quest book advises players to just use an Orc model with a longsword to represent either of the two, this didn’t sit right with me: I wanted a proper model I could use for whenever the game called for an Orc warlord! 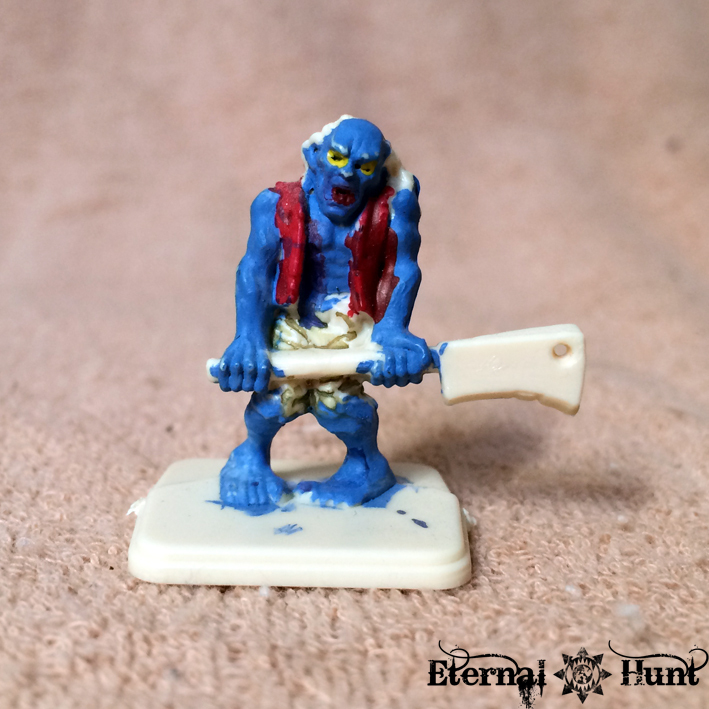 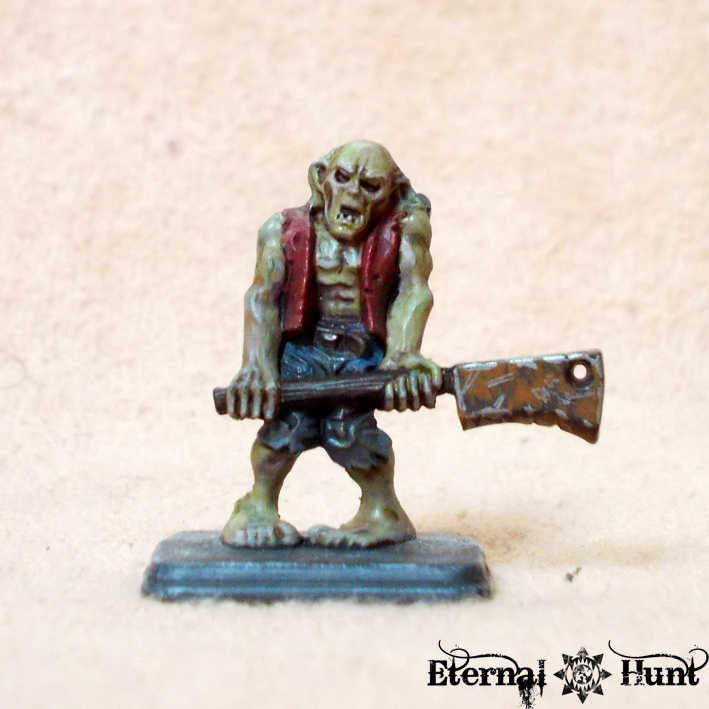 One of the old Battle Masters Orcs, released only a couple of years later than HeroQuest (and cast in the same green plastic, incidentally). 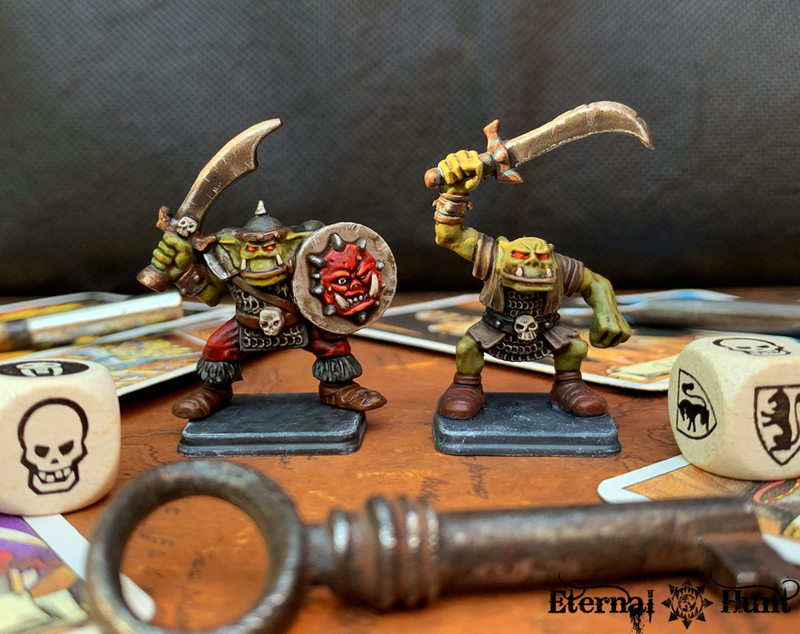 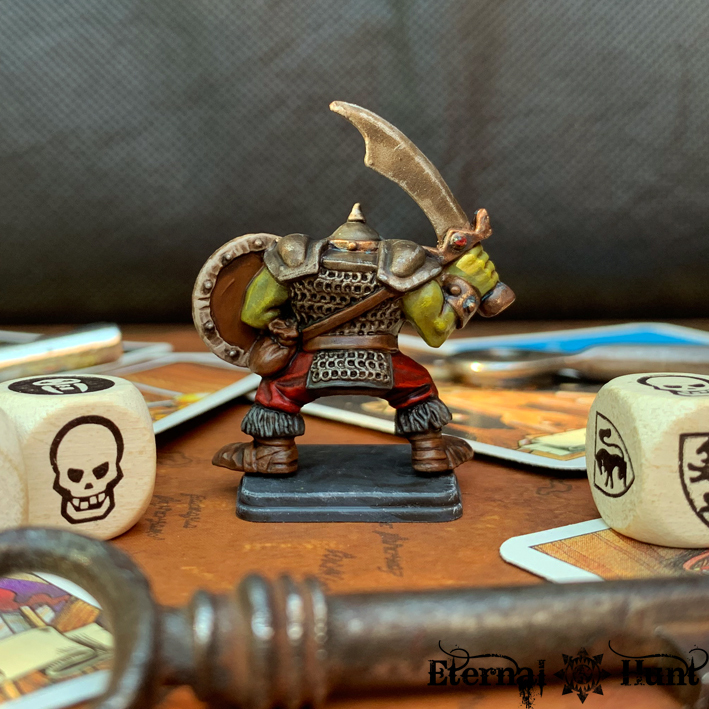 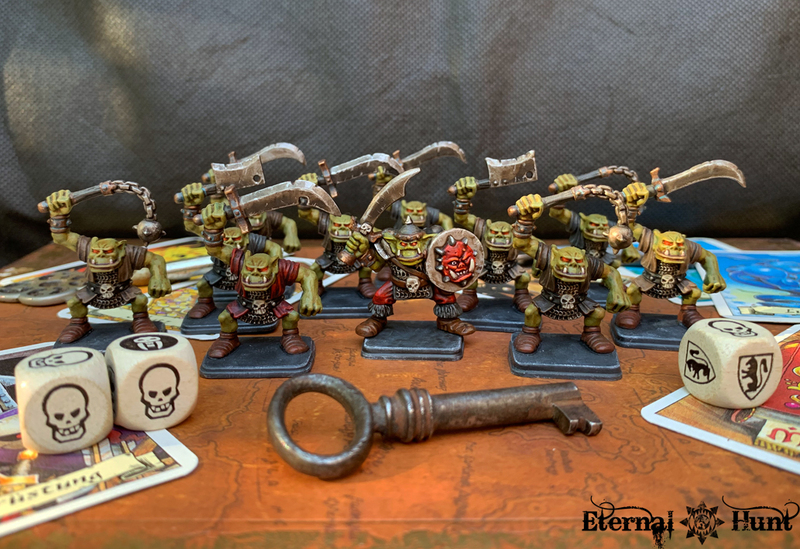 The Battle Masters Orc won out against a monpose Warhammer plastic Orc by virtue of looking a bit more similar to the HeroQuest Orcs, while at the same time boasting a slightly more heavily armoured look that made him seem more formidable. 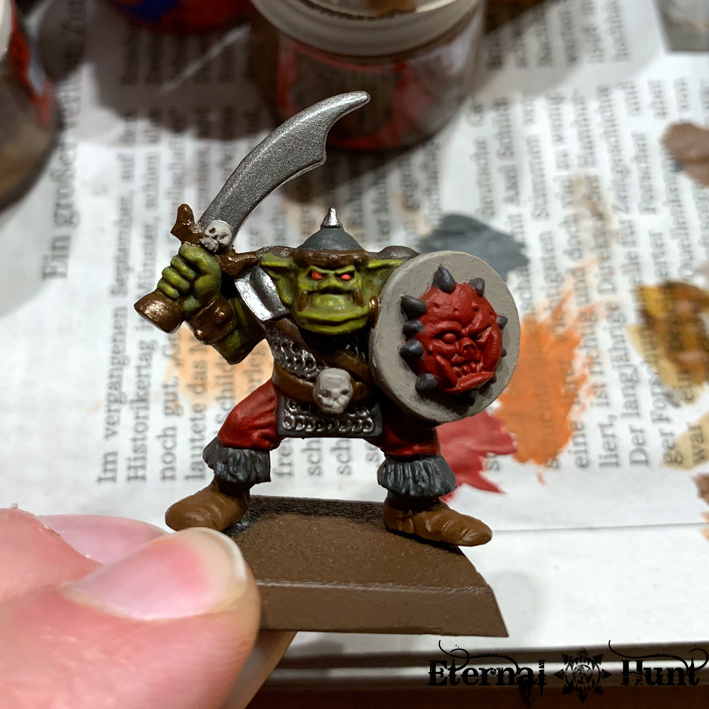 Applying the same greenskin skin recipe I had used for the rest of my Orcs, albeit with another higlight layer or two thrown in, I was able to create a model that looks similar in hue to my other HeroQuest greenskins, yet ever so slightly stands out as a more important character due to its more sophisticated paintjob. 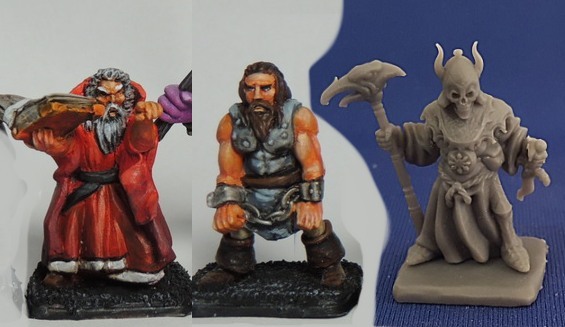 It pleases me that I actually have models for these characters now, and it’s certainly a little touch that makes my HeroQuest set just that little bit more unique. 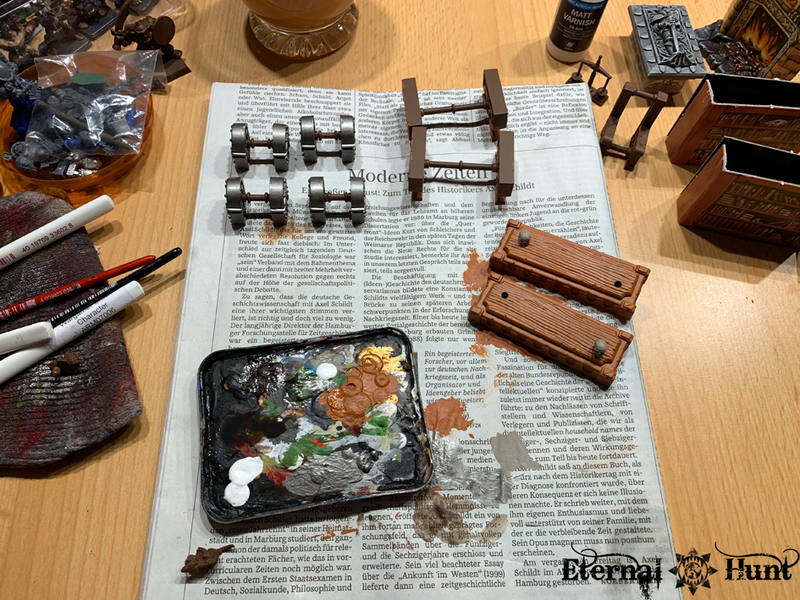 So just a few more pieces left to paint, and then I’ll have completed a project that has been thirty years in the making! 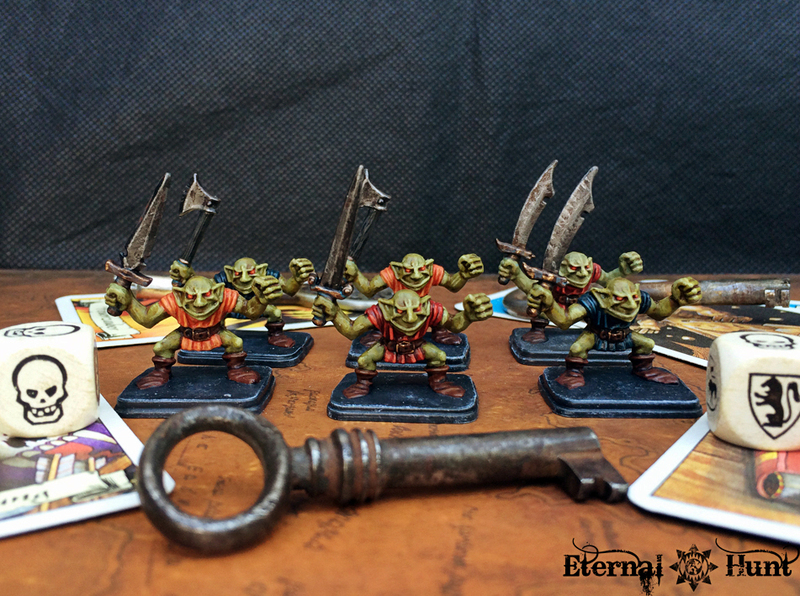 For now, however, I would love to hear any feedback or thoughts you may have concerning today’s update! 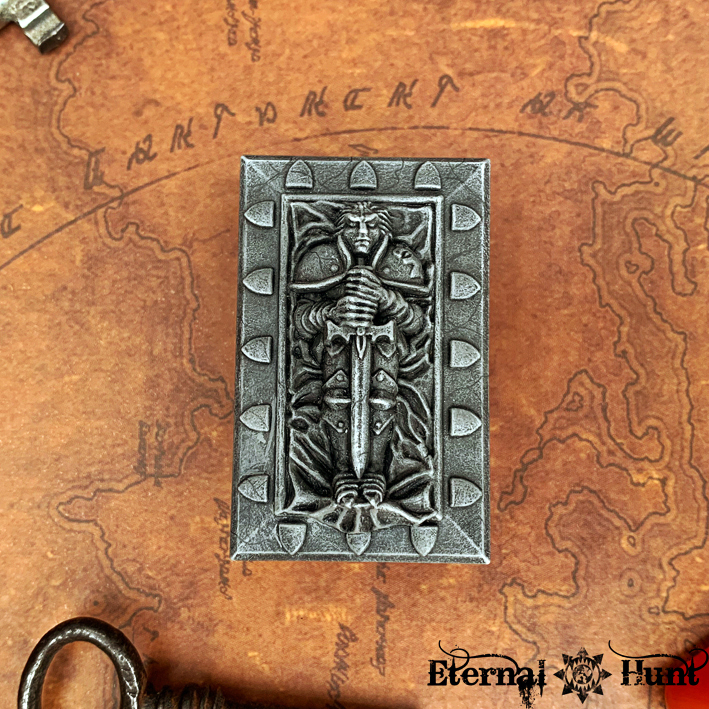 And, as always, thanks for looking and stay tuned for more! 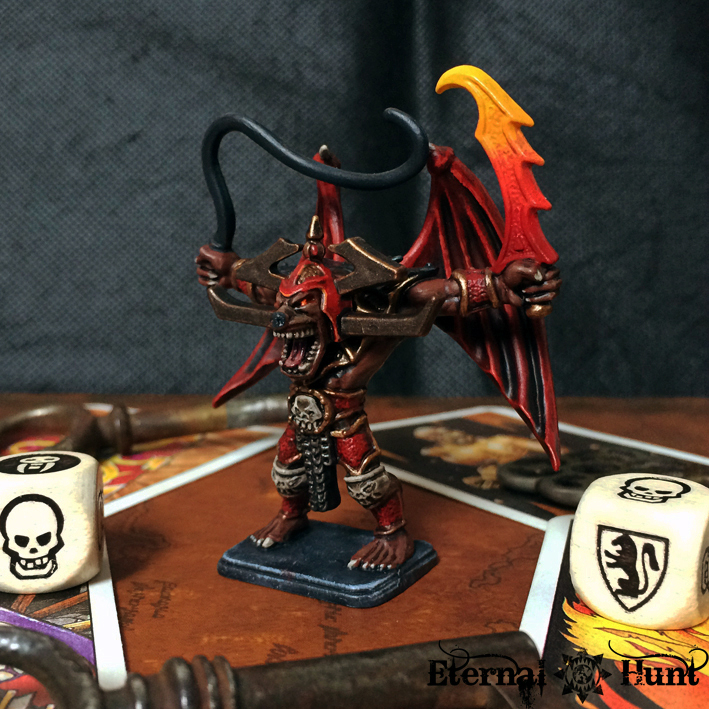 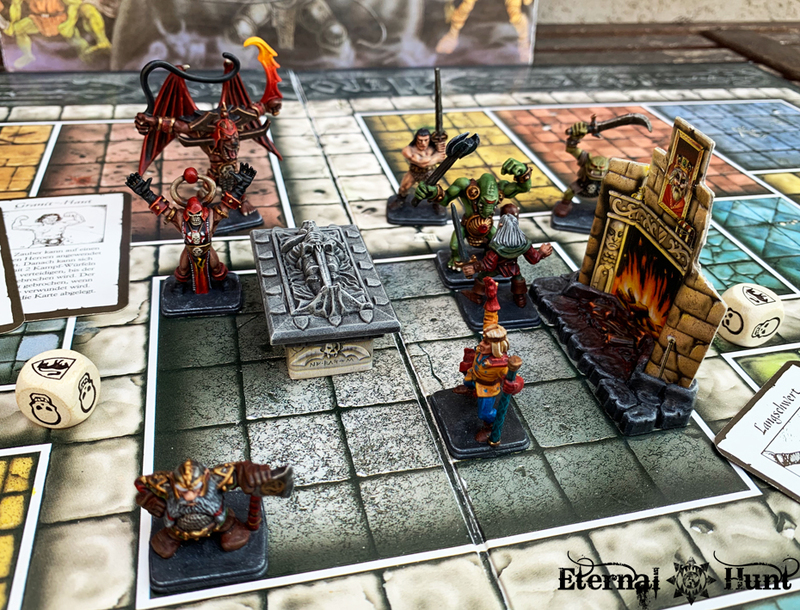 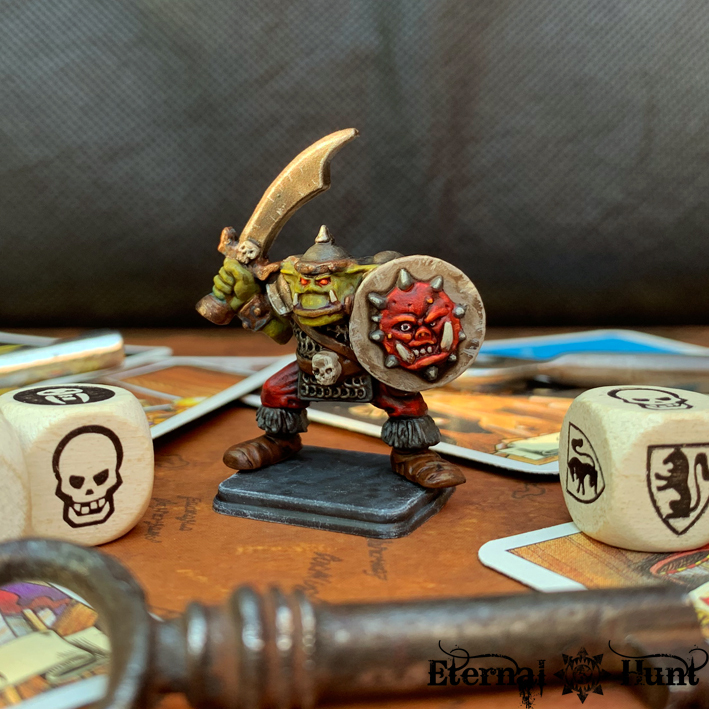 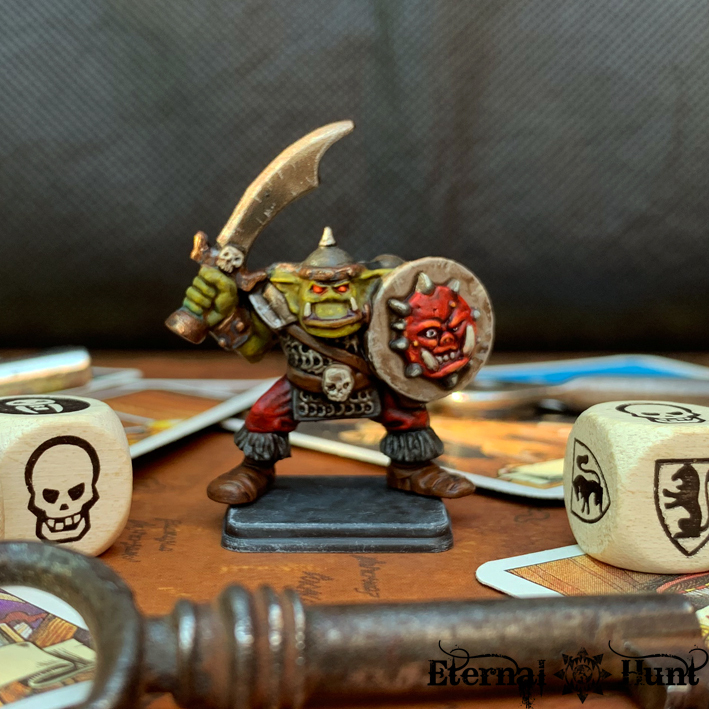 Now it was clear that painting another Gargoyle would have to be a part of my #HeroQuest2019 project. 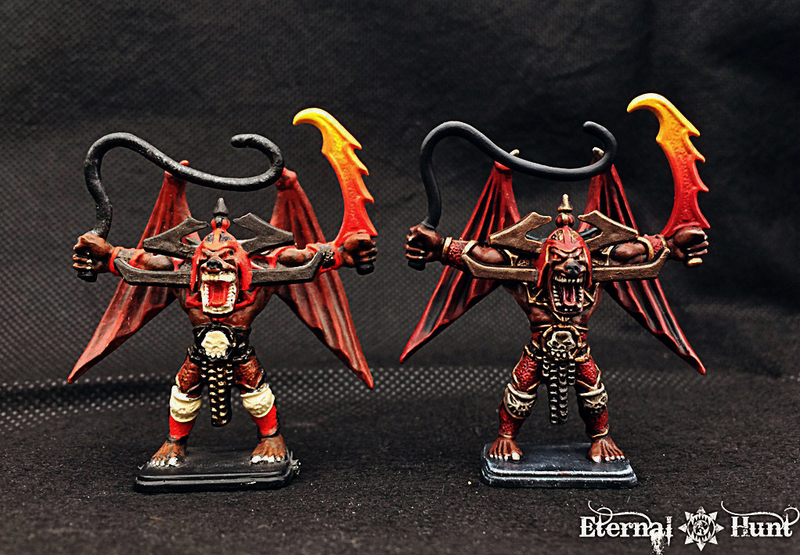 My original plan was to keep the Gargoyle for last and only paint him once all of the other monsters had been finished. 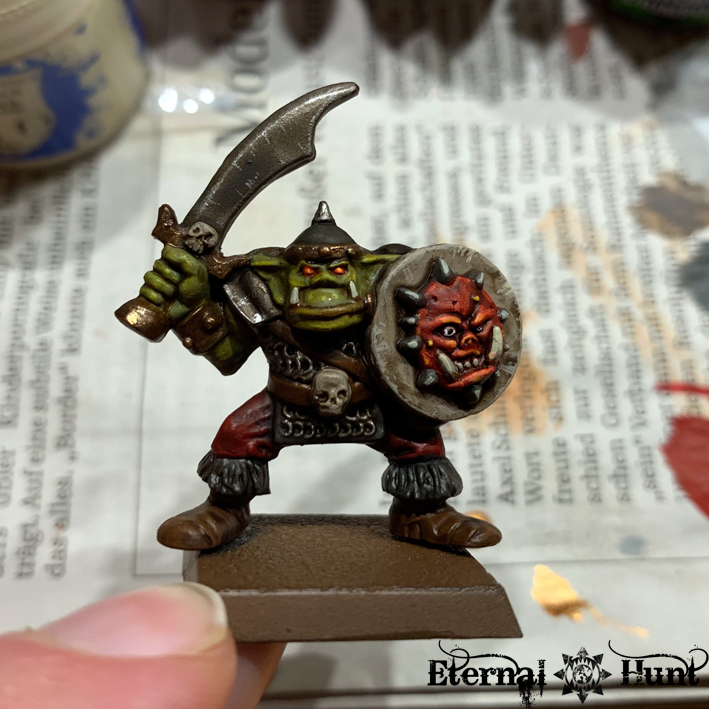 But then real life (TM) had been such a slog recently that I felt I deserved a little reward for soldiering on, so the Gargoyle jumped the queue a bit. 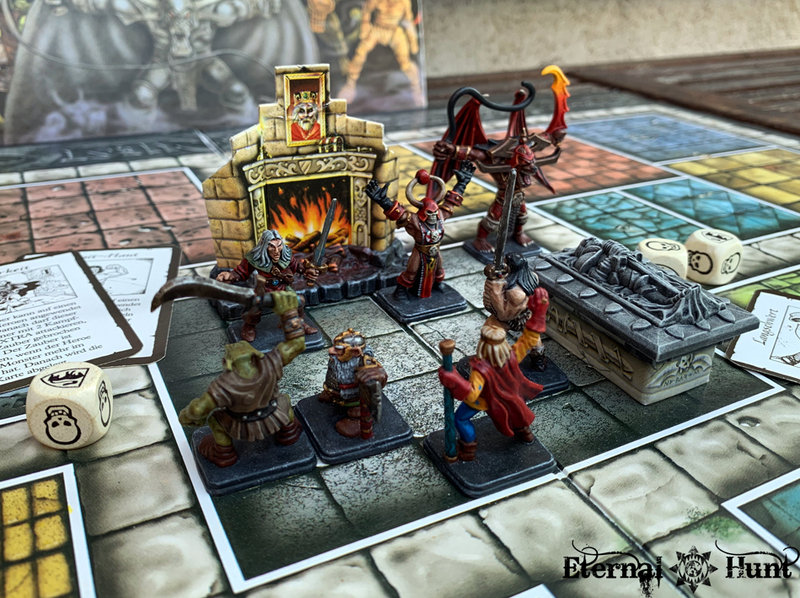 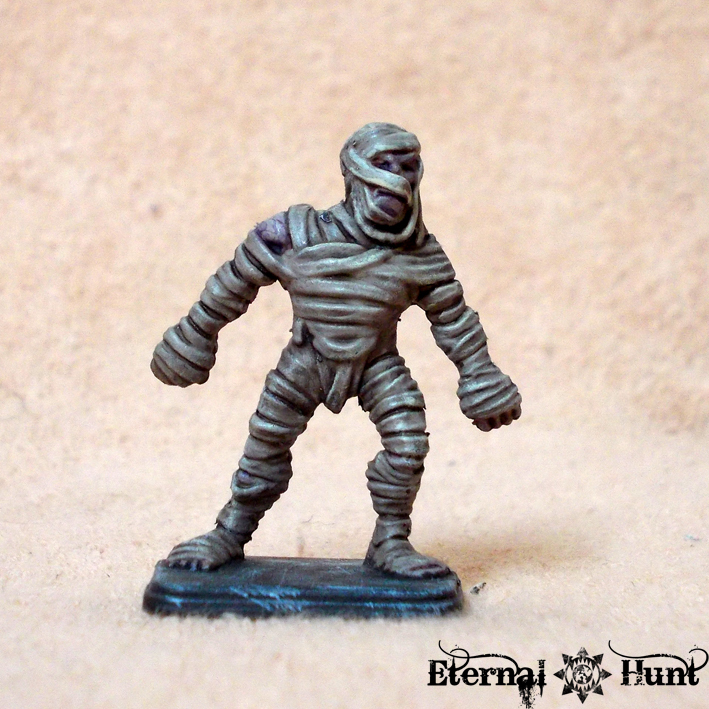 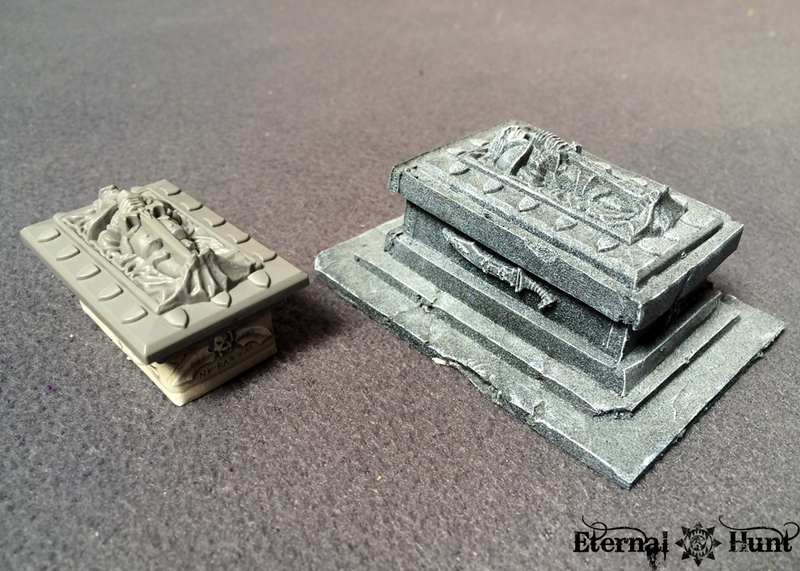 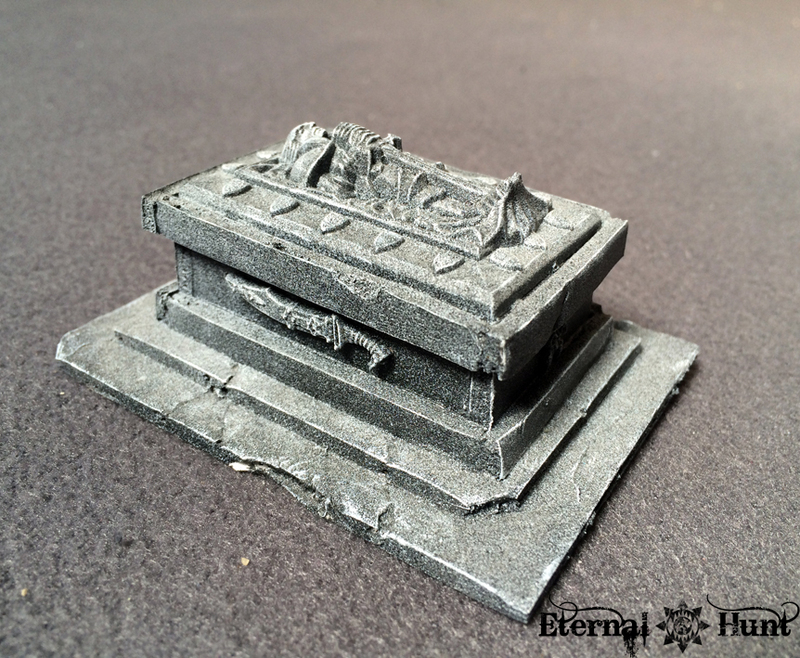 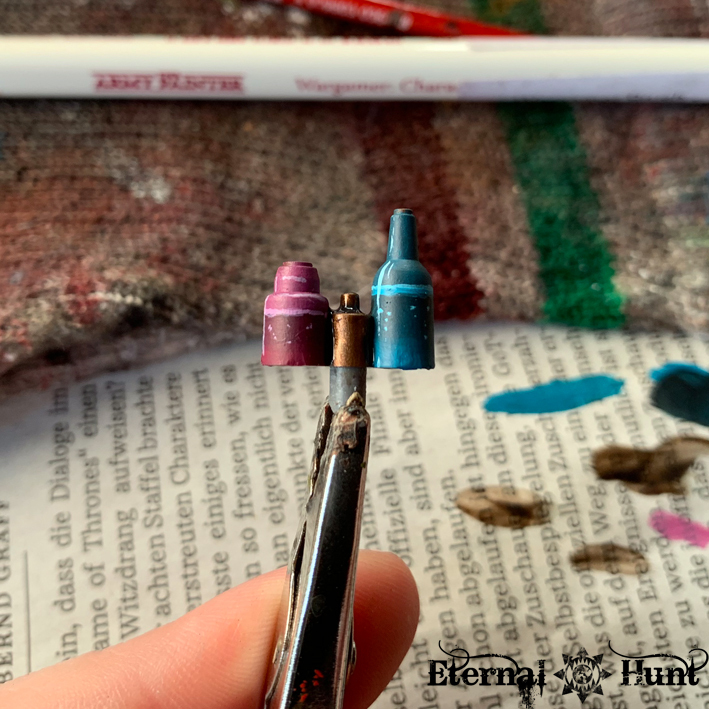 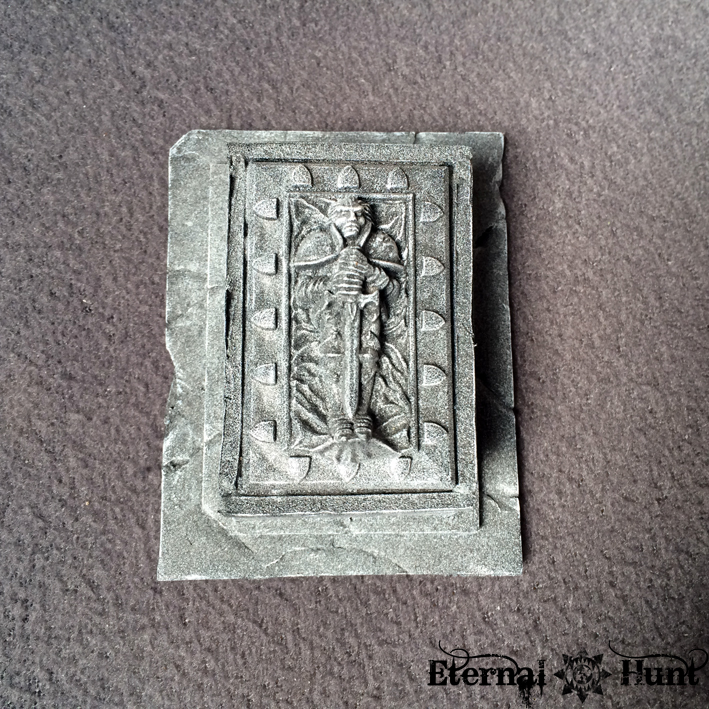 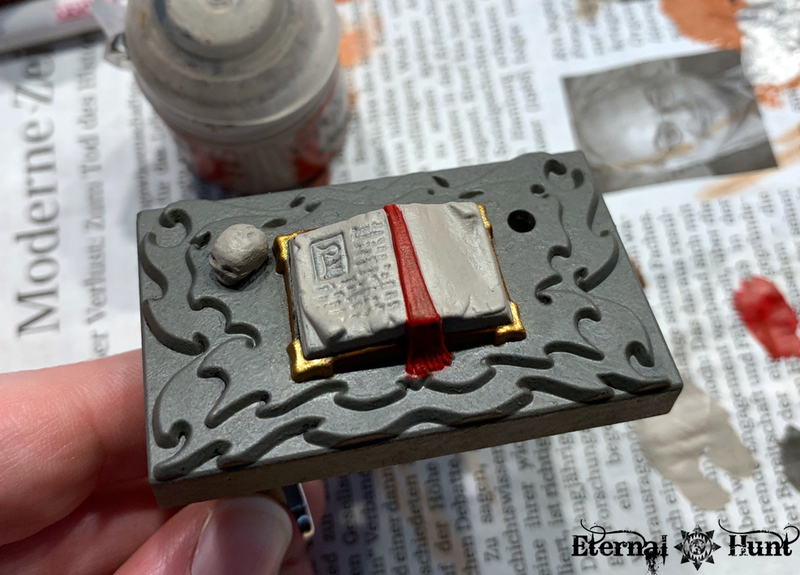 When it came to the actual painting recipe, I didn’t have to think all that long: Sure, one option would have been to actually paint the model as a stone statue — after all, the Gargoyle is supposedly rather a stone effigy come to life than an actual Daemon. 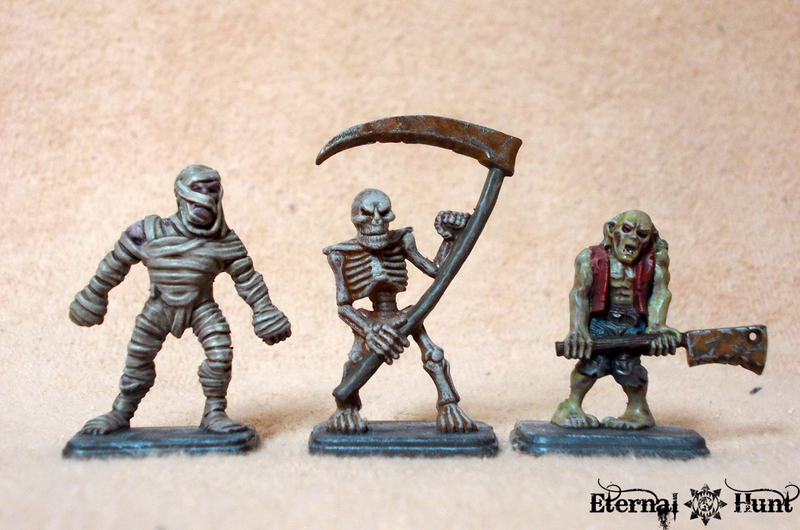 Plus there are some rather gorgeous “stone” Gargoyles, painted by fellow hobbyists, out there. 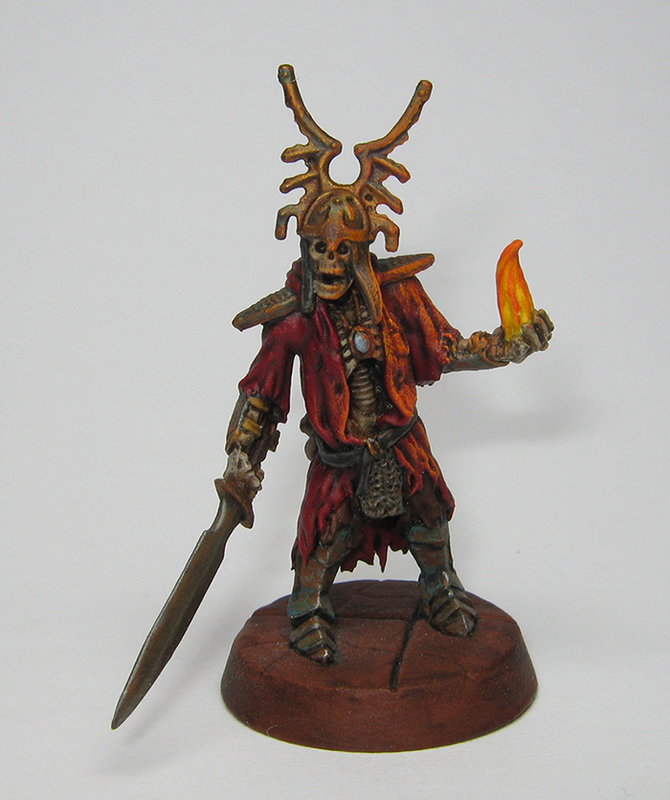 But this approach just seemed a bit boring to me. 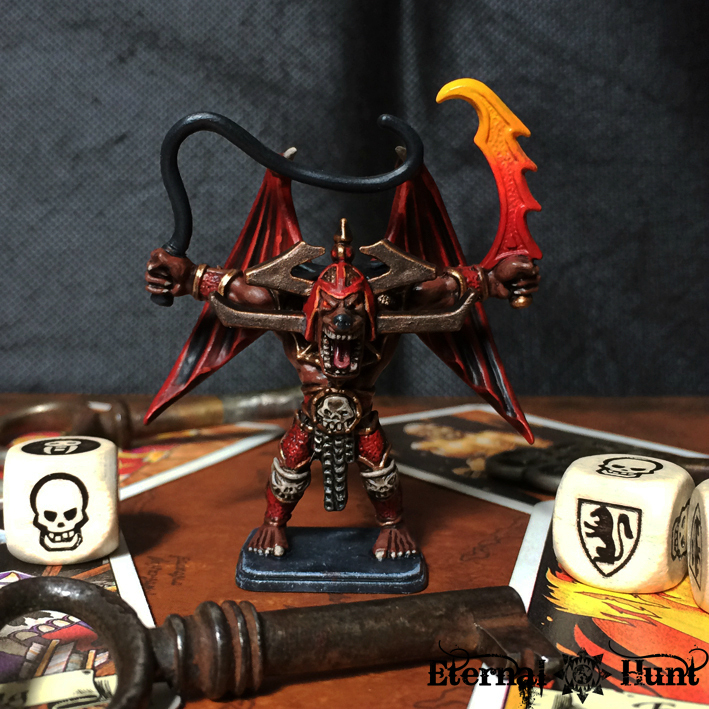 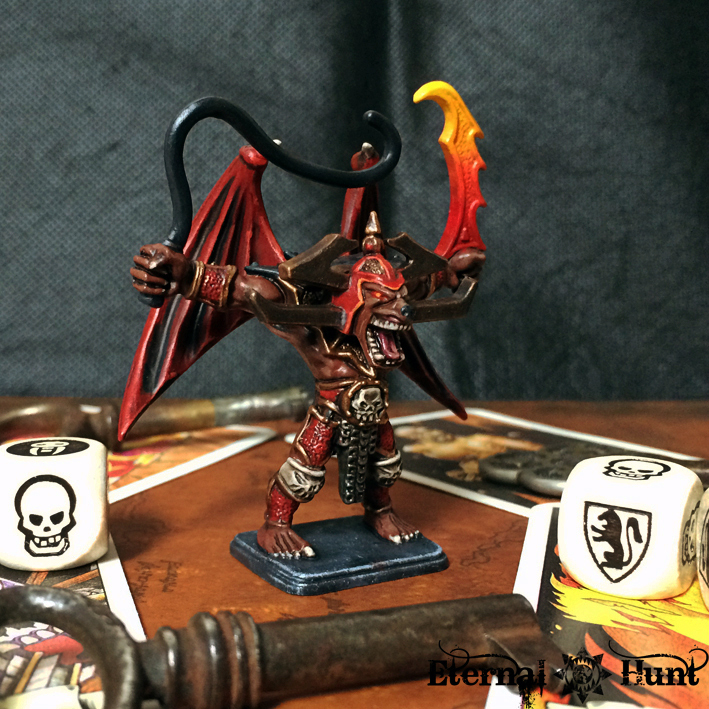 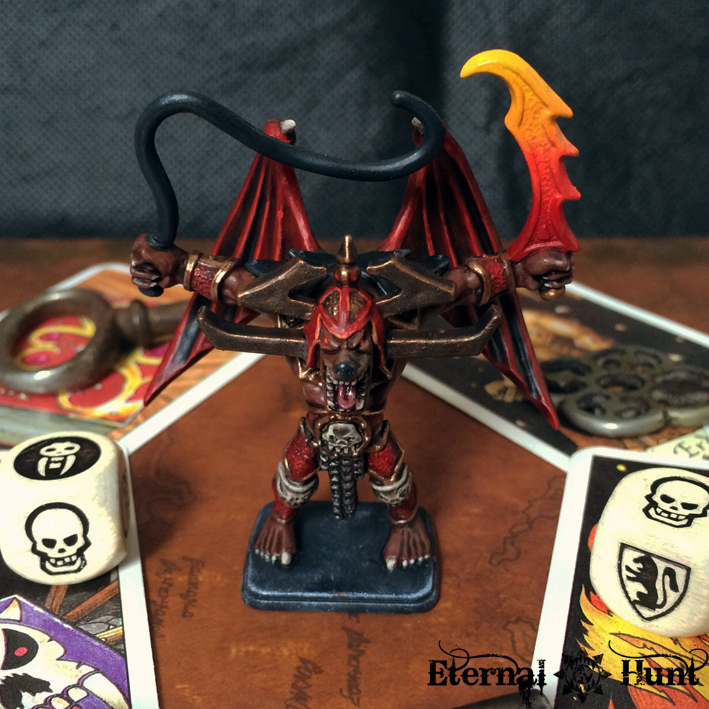 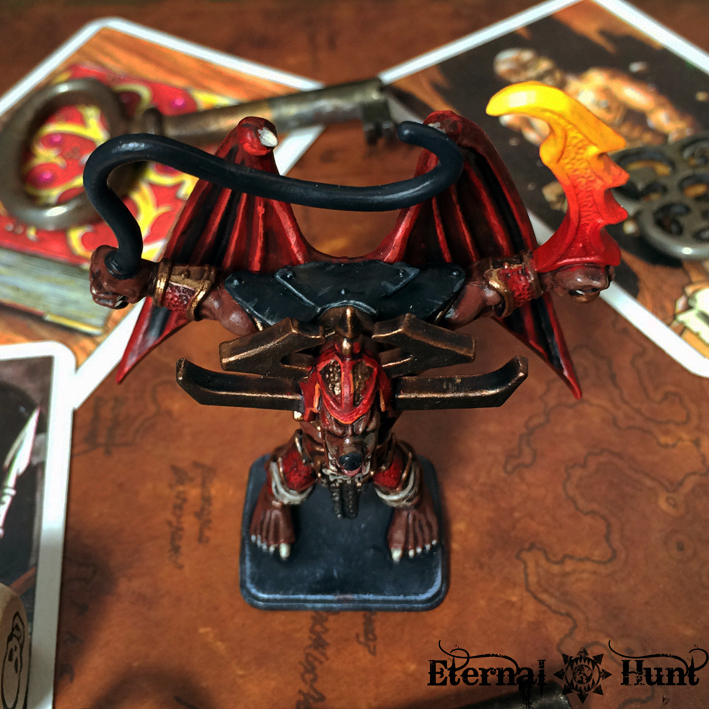 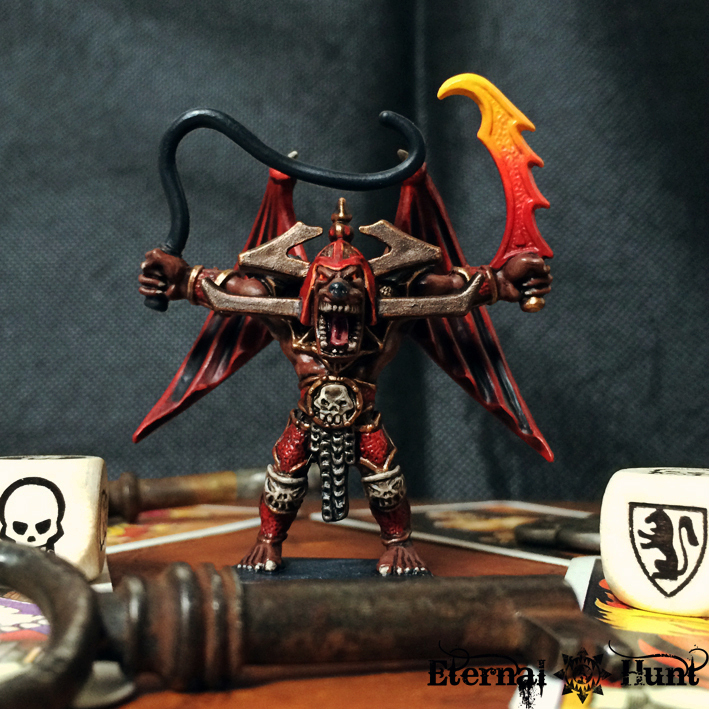 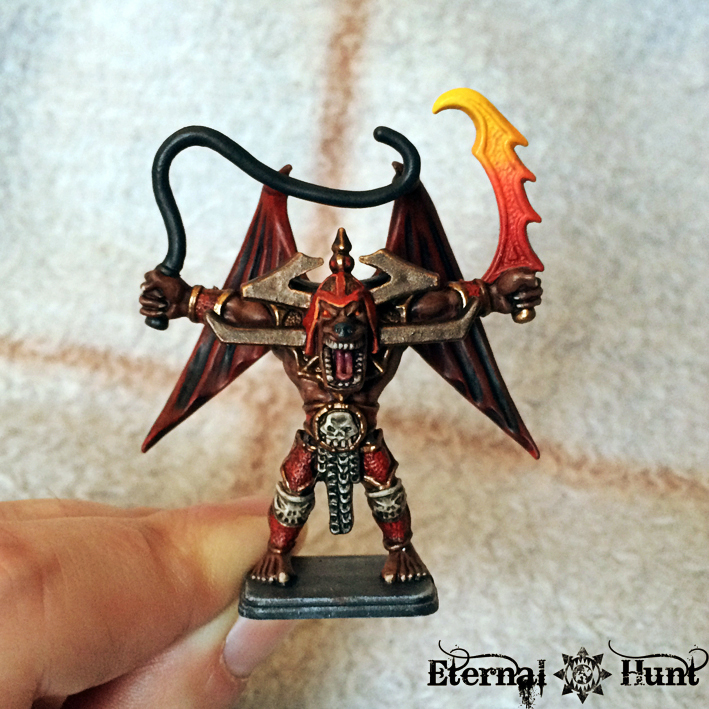 These days, I am actually aware of the fact that the HeroQuest gargoyle is a slightly rebranded Bloodthirster of Khorne (or a statue of a Bloodthirster brought to life, to be precise). 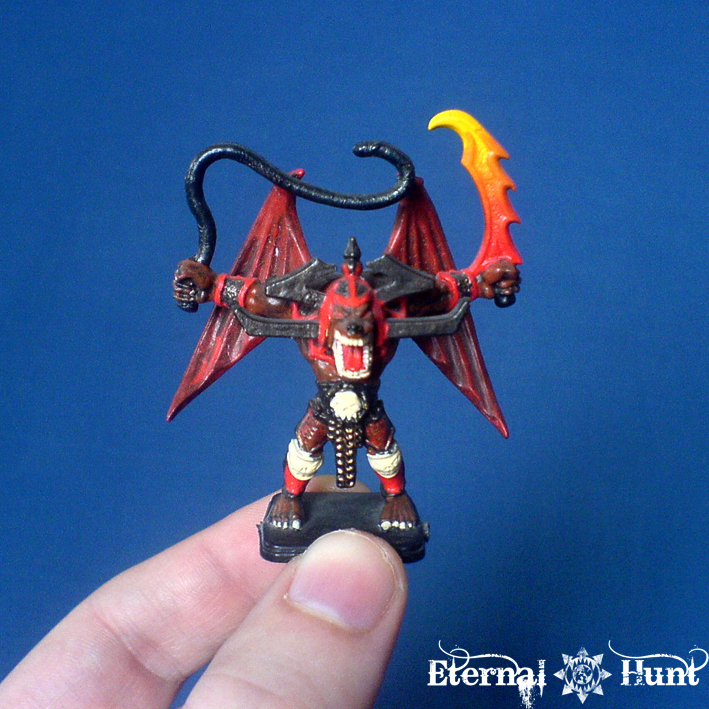 To the point where the vintage metal Bloodthirster from the time HeroQuest was released actually included options that allowed you to basically assemble a bigger HeroQuest Gargoyle. 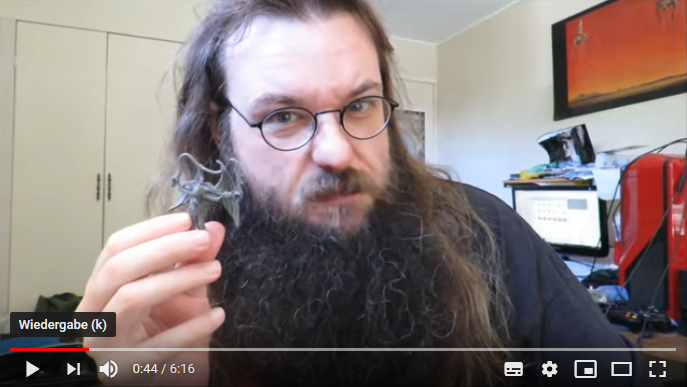 As you can see, the assembly also includes the two “bonus models” I have created to round out the set, namely Sir Ragnar and the Witch Lord. 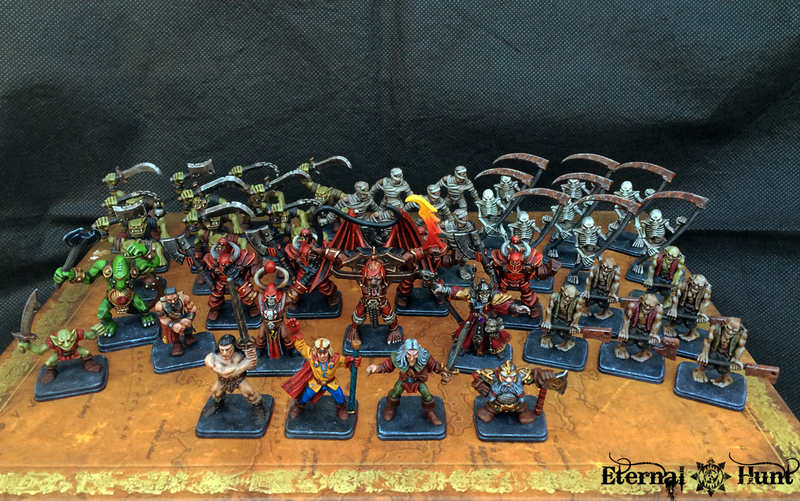 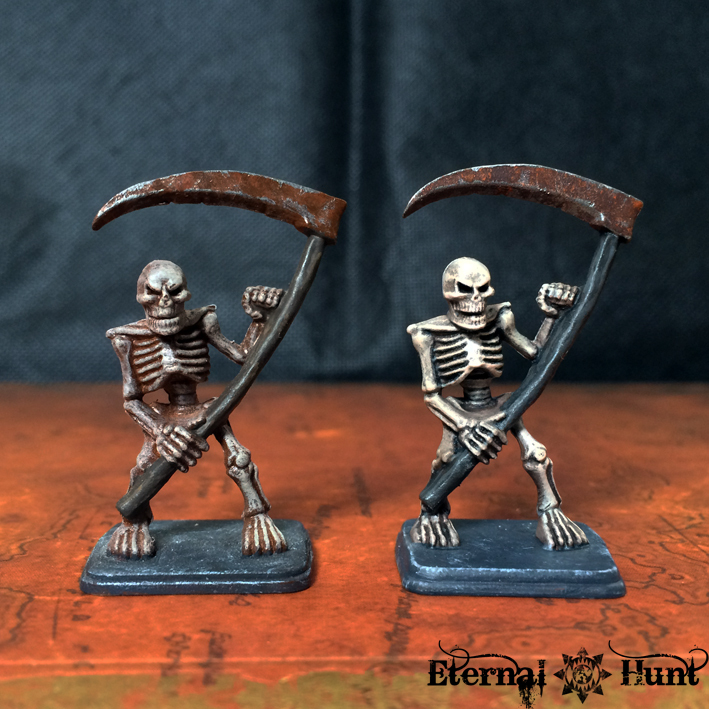 What’s more, I was surprised to find out that this collection actually makes for some forty models that I have mostly managed to paint in the first quarter of 2019 — that’s quite an achievement, given my – usually glacially slow – pace when it comes to painting! 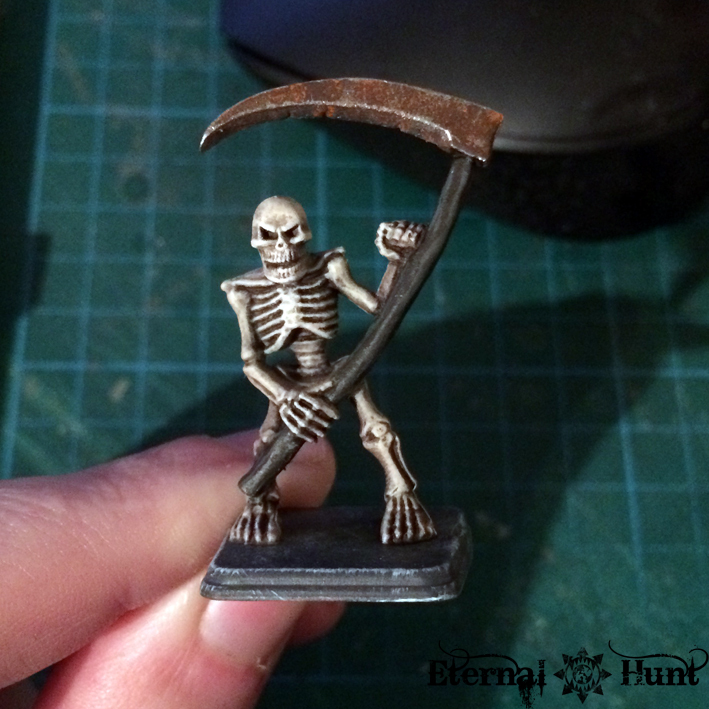 So that’s it for today. 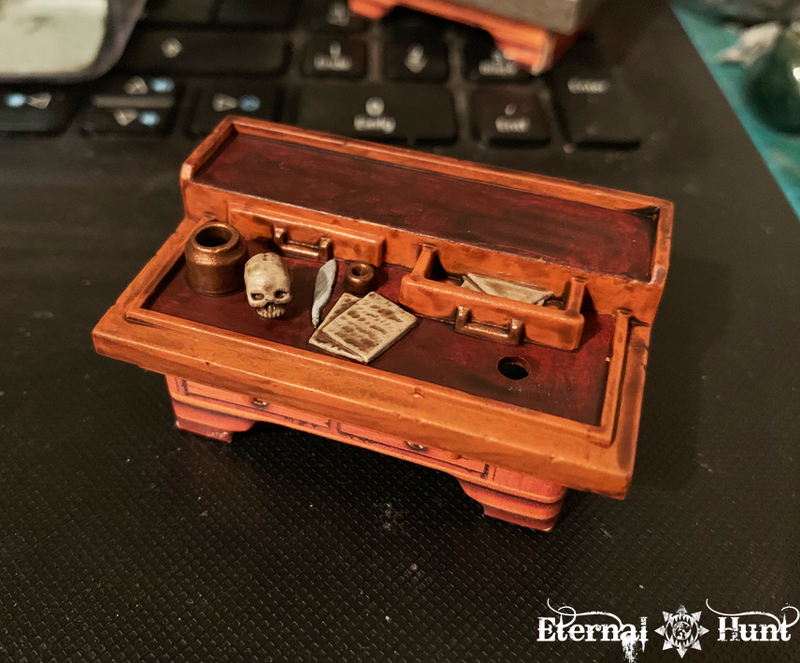 Of course I would love to hear any thoughts and feedback you may have, so don’t be shy! 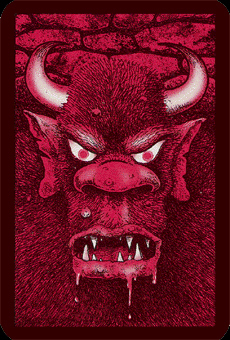 And, as always, thanks for looking and stay tuned for more! 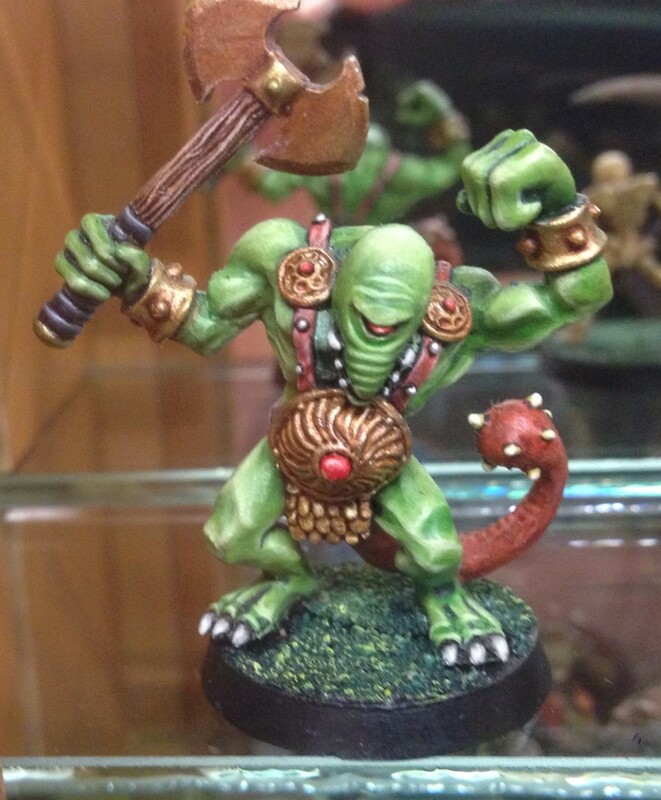 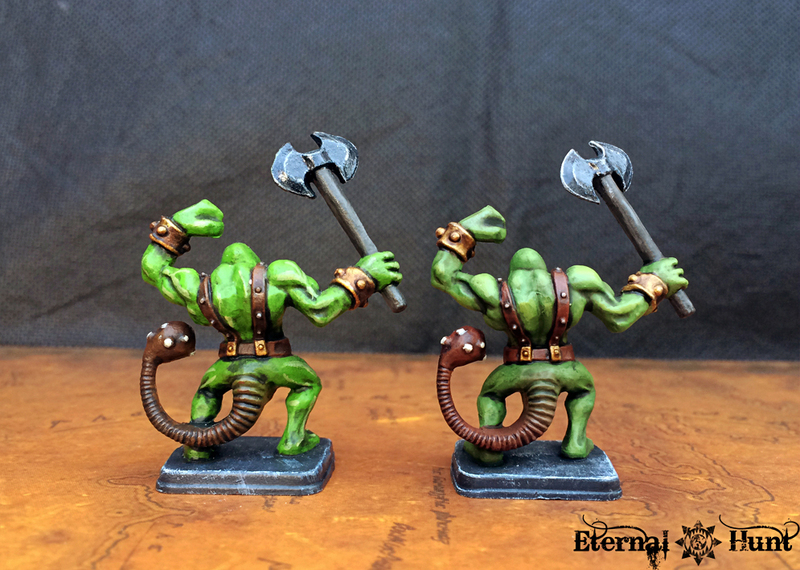 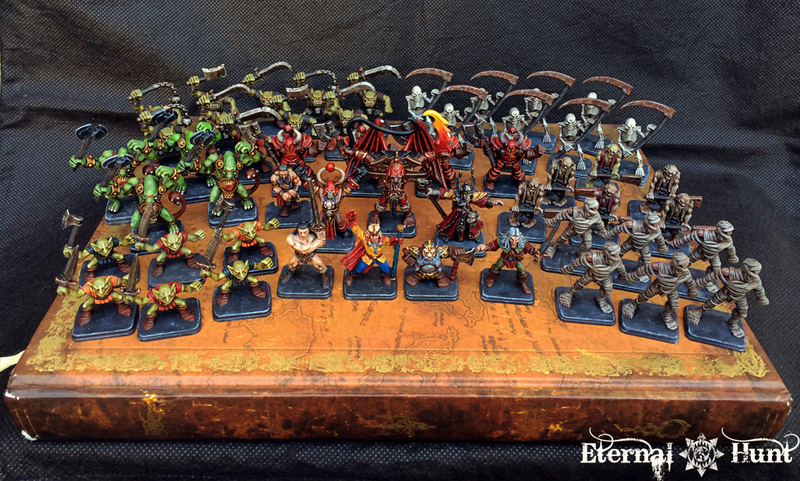 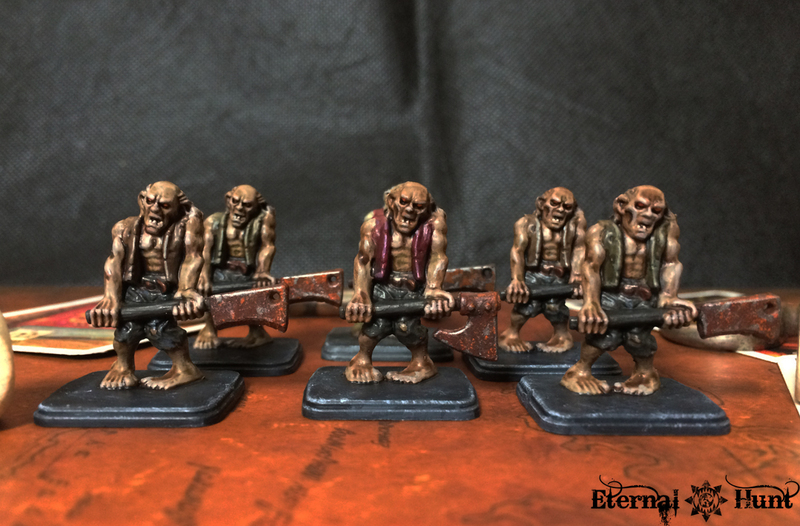 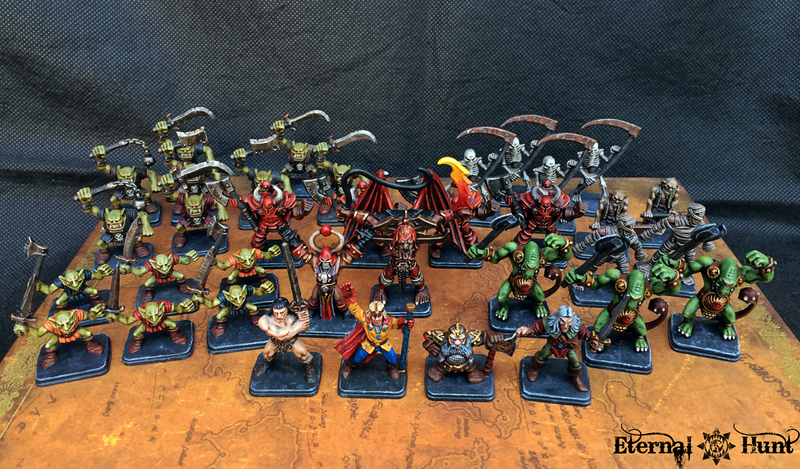 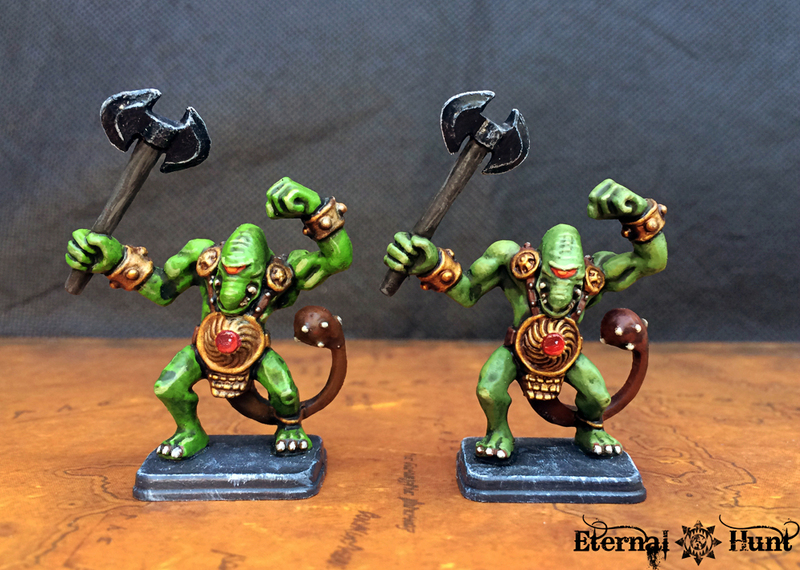 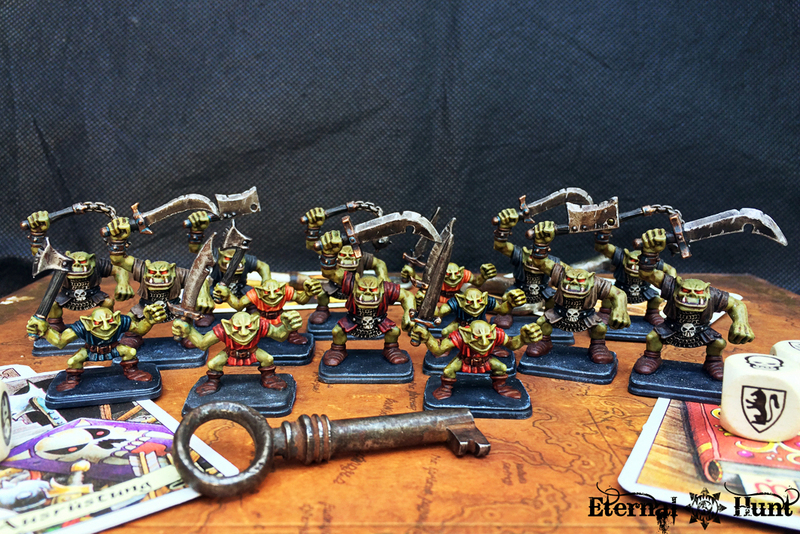 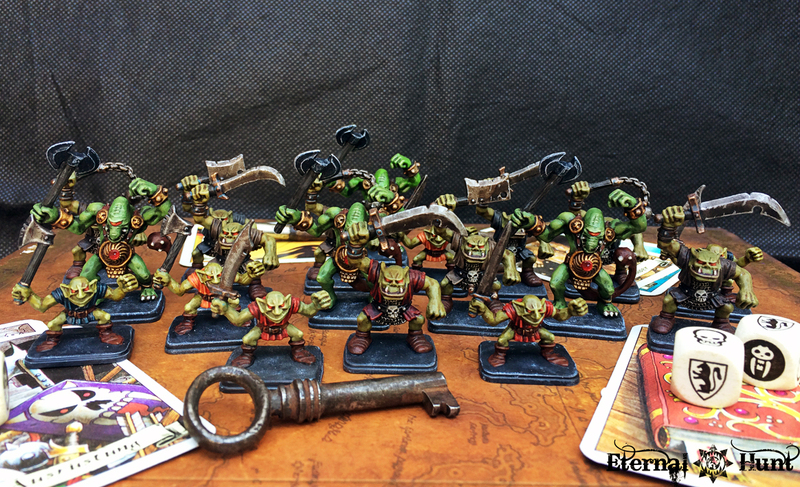 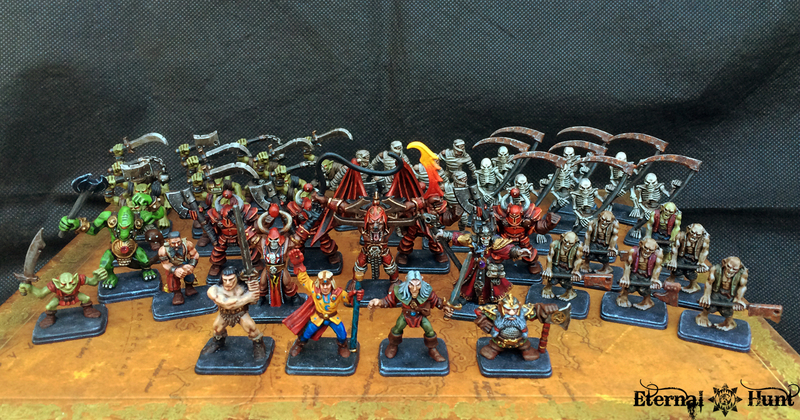 In a way, all of the greenskins and undead I have painted for my #HeroQuest2019 project so far have mostly been a preparation for the models I want to share with you in today’s post — because even back when I got my first HeroQuest set, I immediately fell in love with the chaos models above all others: This was basically my very first contact with GW’s approach to the forces of chaos, but even back then, the faceless, armoured menace of the HeroQuest chaos warriors deeply appealed to me — and with long lasting consequences, arguably, because I am still a fan of heavily armoured, spiky chaos models to this very day! 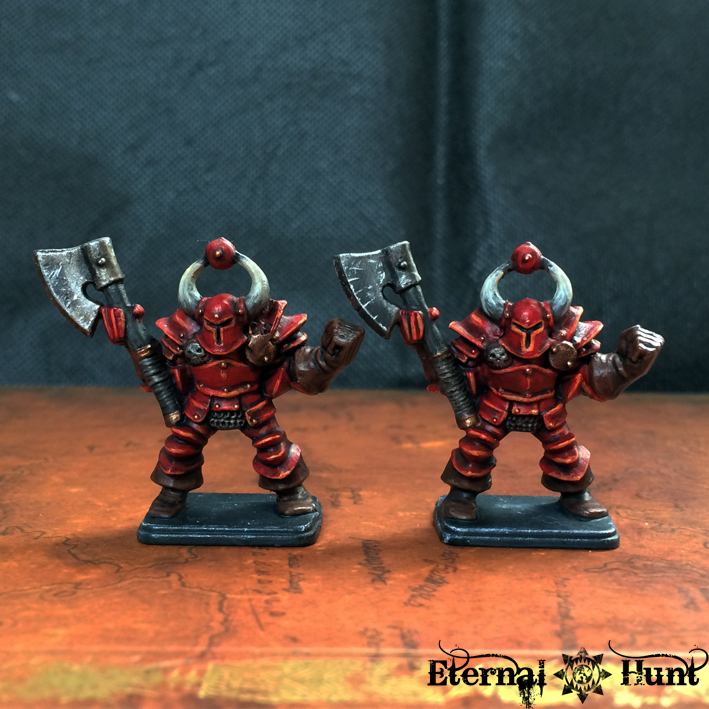 So it was clear that I would start with the more damaged of the two chaos warriors as my guinea pig, because there was simply a lot less left to lose with that – already pretty rough – model. 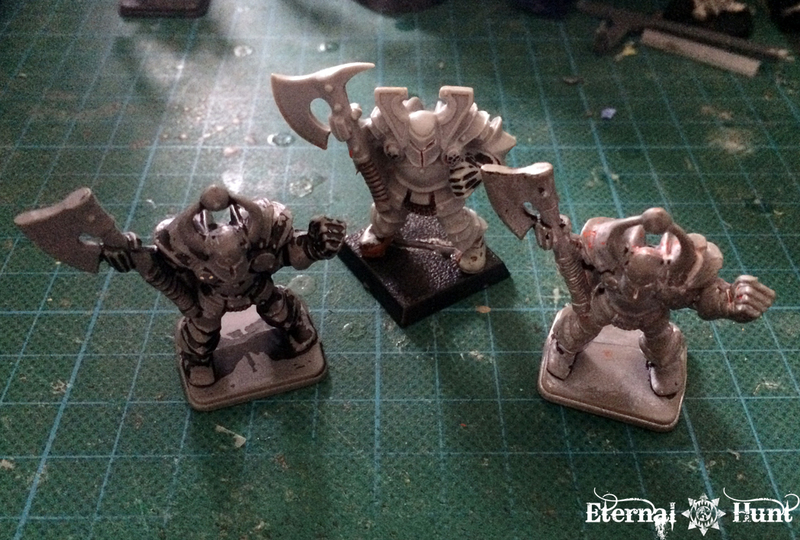 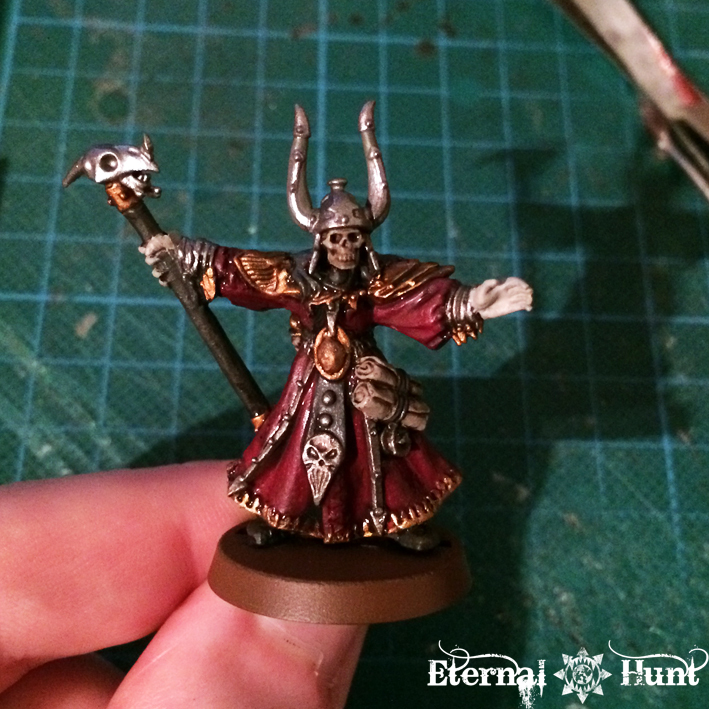 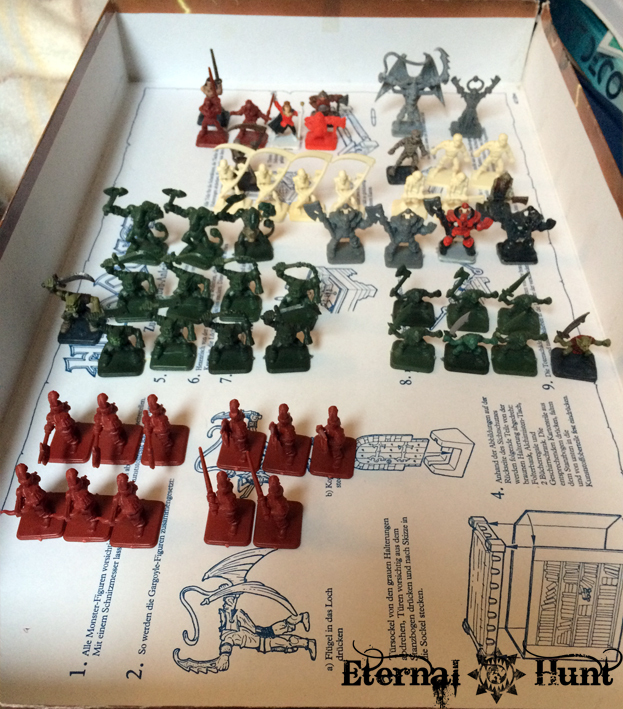 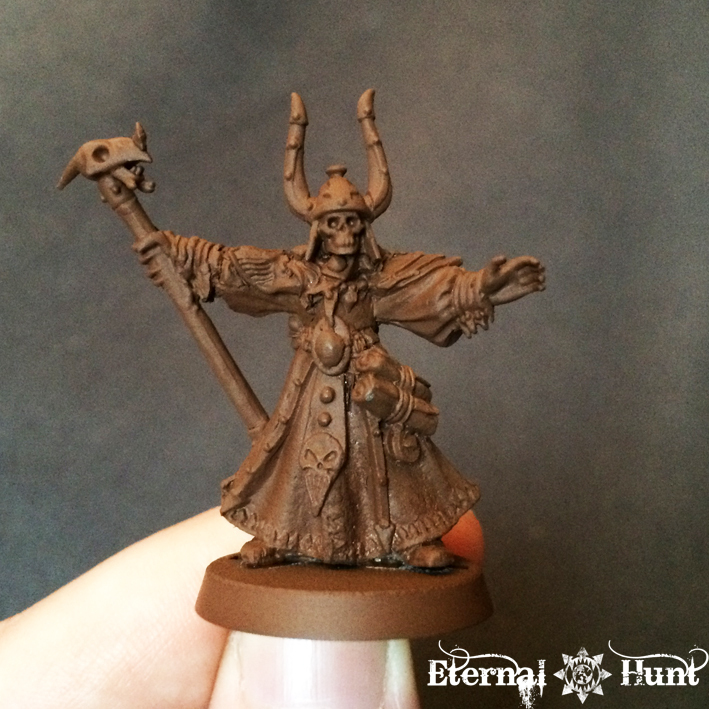 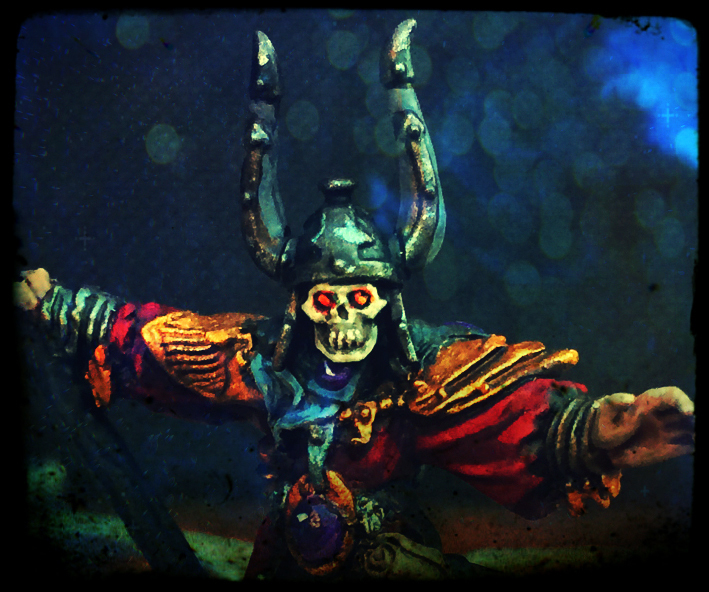 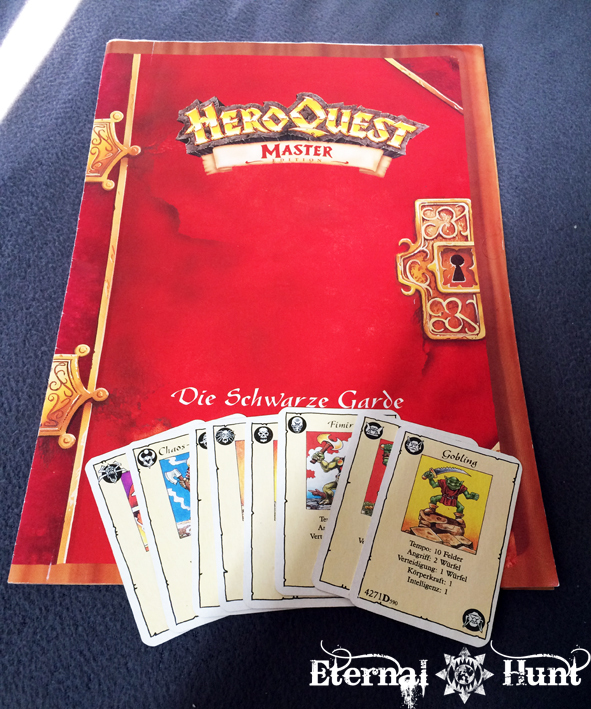 But still, the question remained: What recipe was I to use for my HeroQuest chaos warriors? 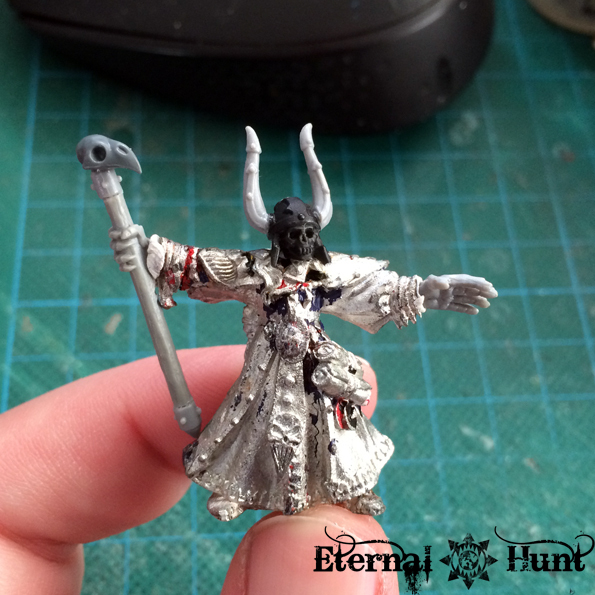 But it didn’t take me long to realise that this approach wouldn’t work for me: I am no Mike McVey, for one, and wasn’t sure I would be able to reproduce all of the tiny patterns and detail you can see in the model above — and I also have to admit that the finished look seemed just a bit too trippy and artistic to me — I was looking for something a little more down to earth for my own models. 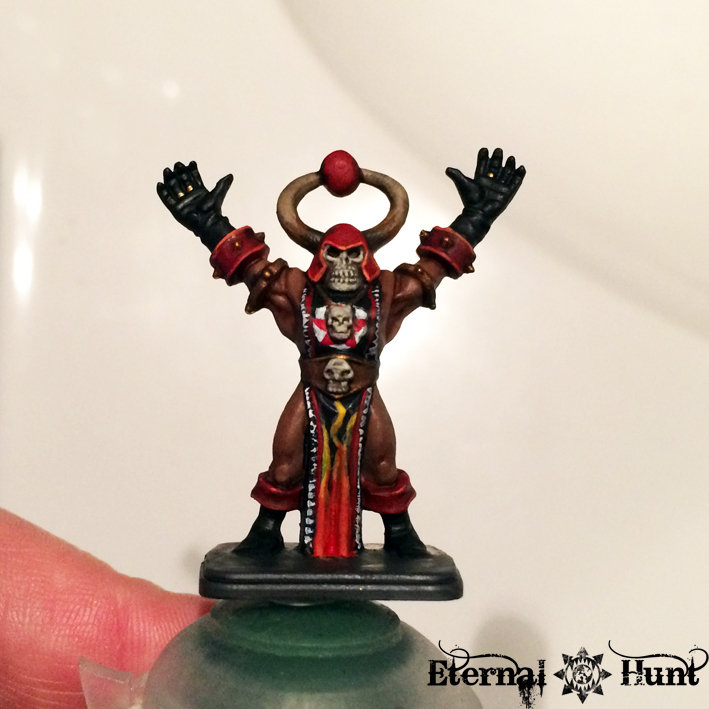 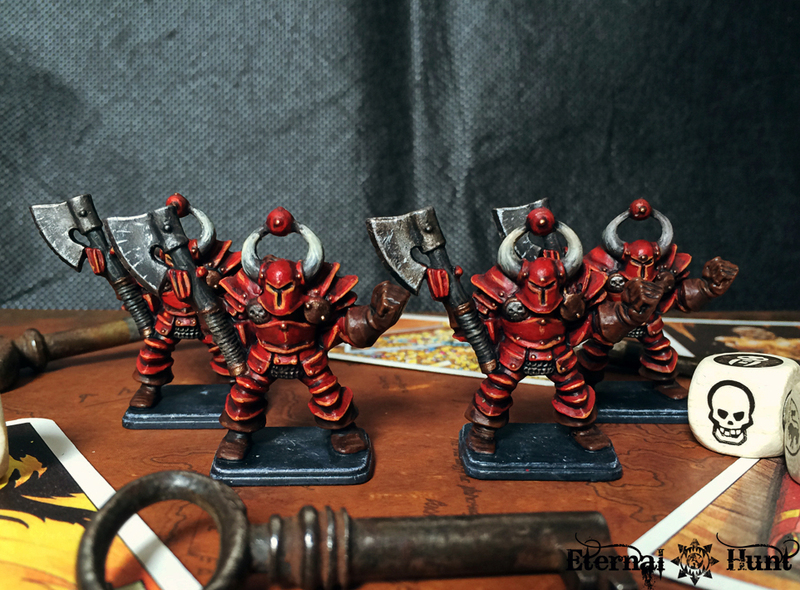 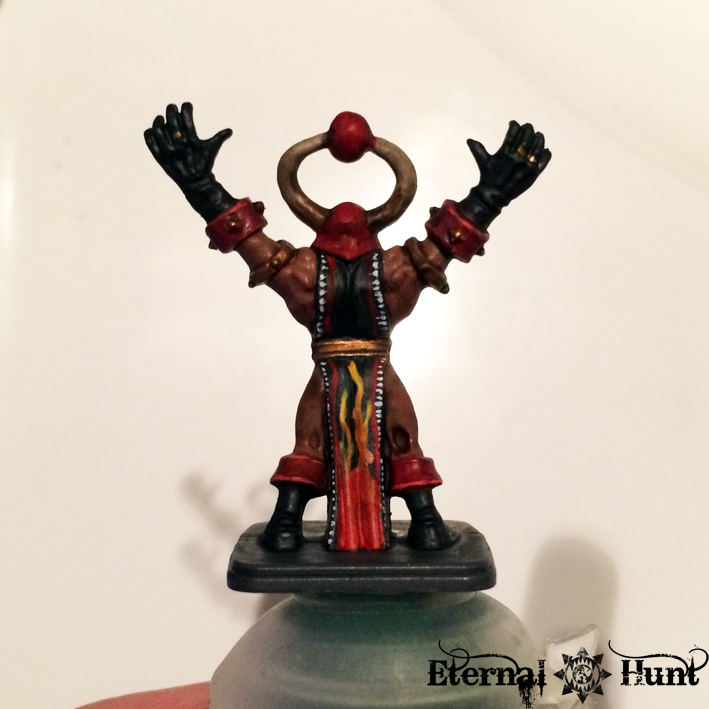 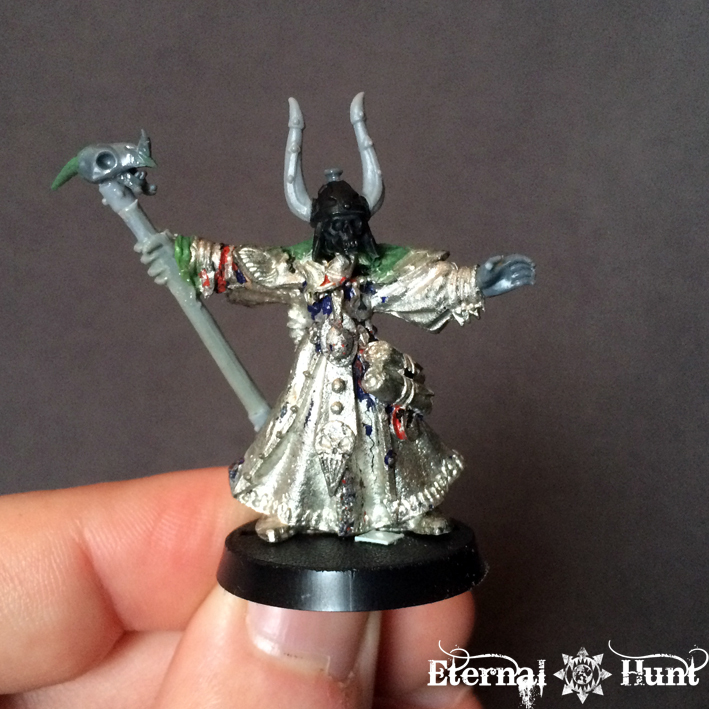 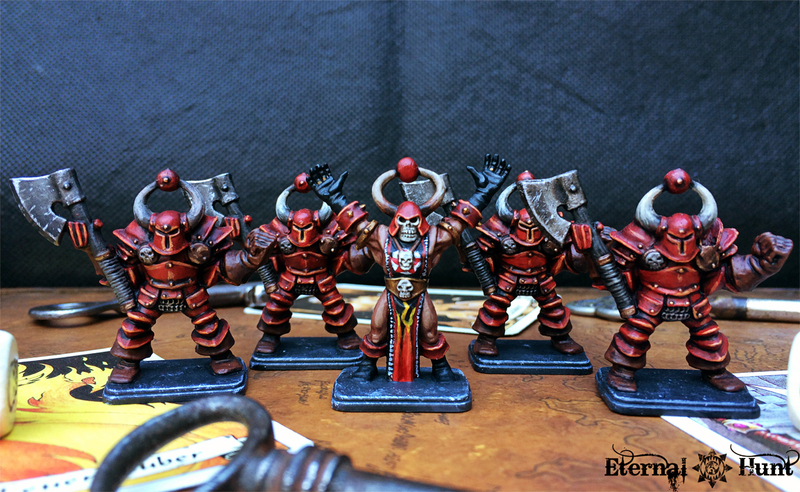 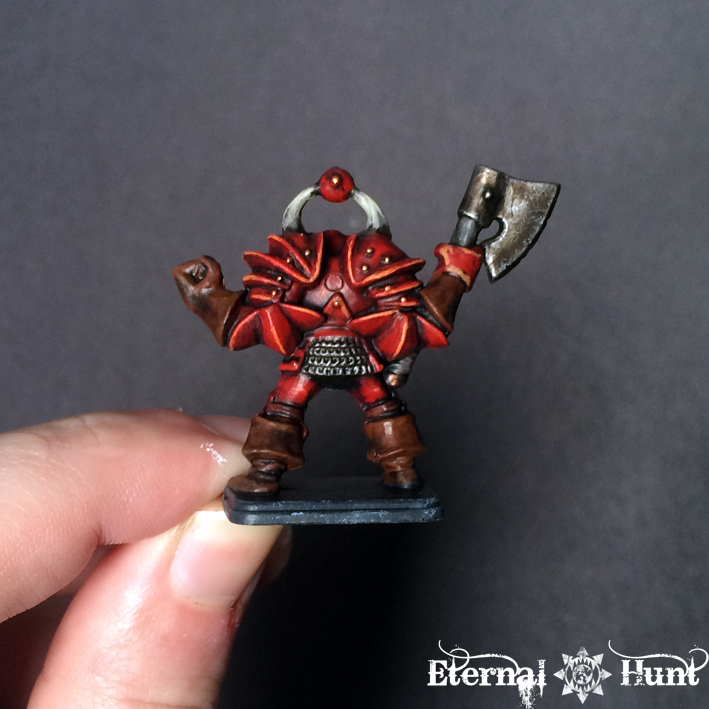 Another approach that I had seen fellow hobbyists use was to paint each of the four chaos warriors as a follower of one of the four chaos gods, respectively. 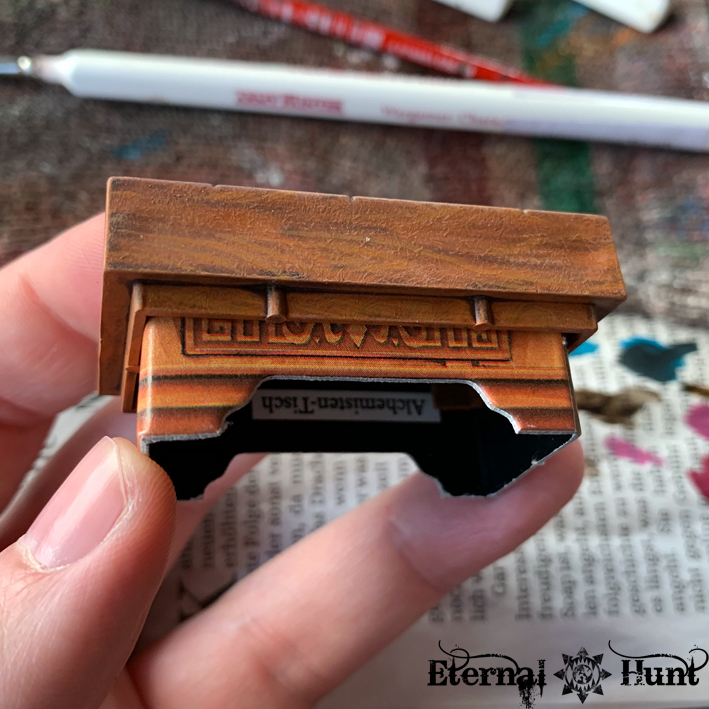 This seemed like such a cool idea, and I really thought about it for quite a while. 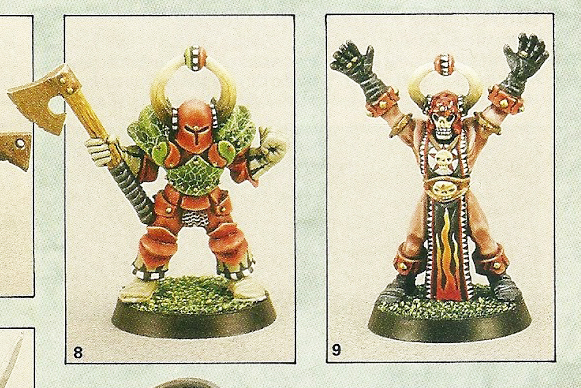 In the end, however, I really wanted the four models to work as a massive, unified block of inhuman, armoured malice, and having them in all colours of the rainbow would have worked against that intended effect. 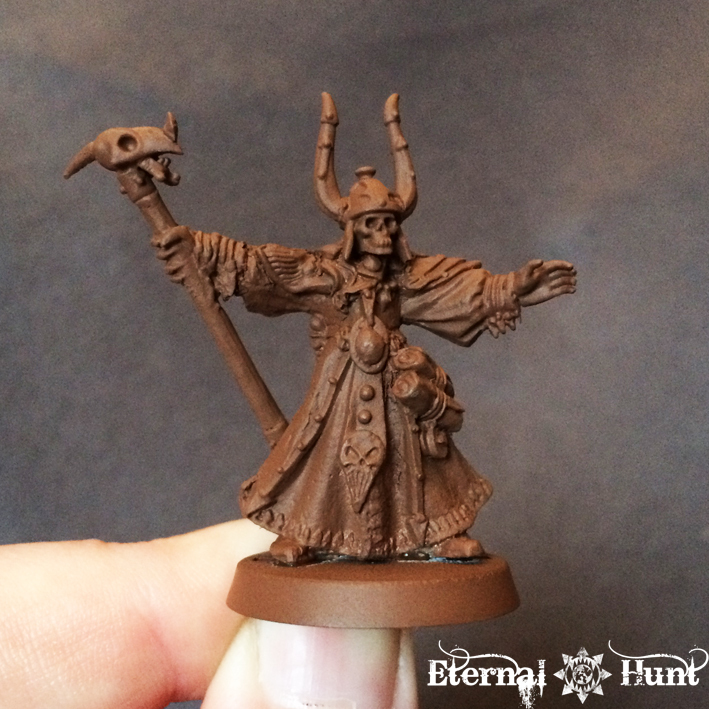 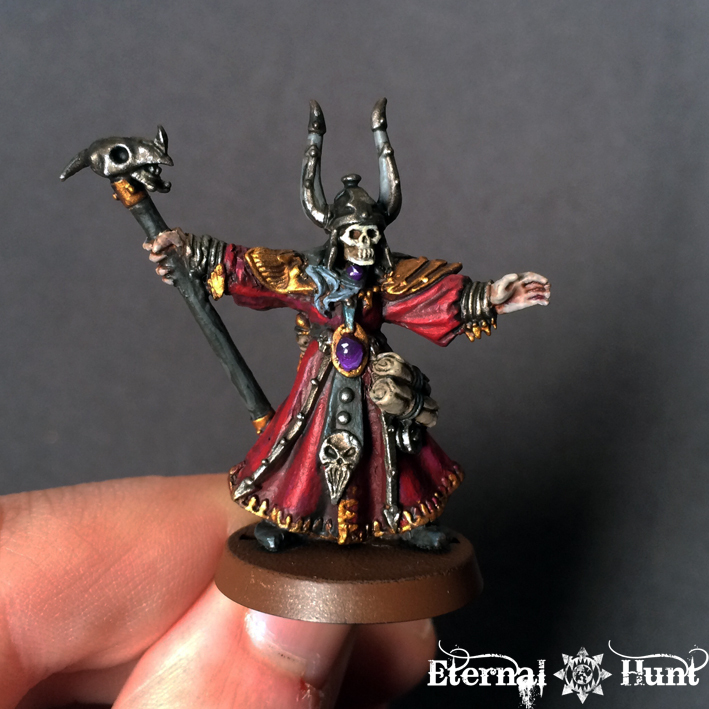 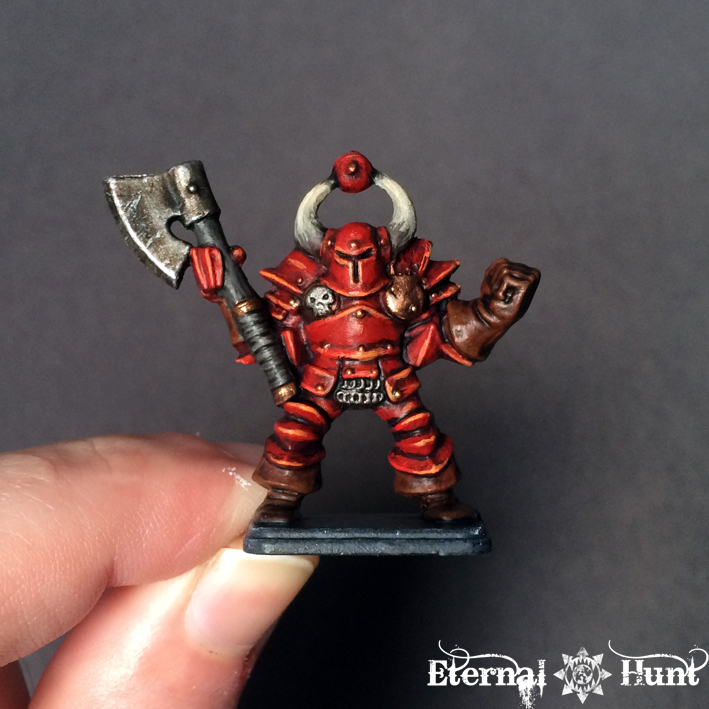 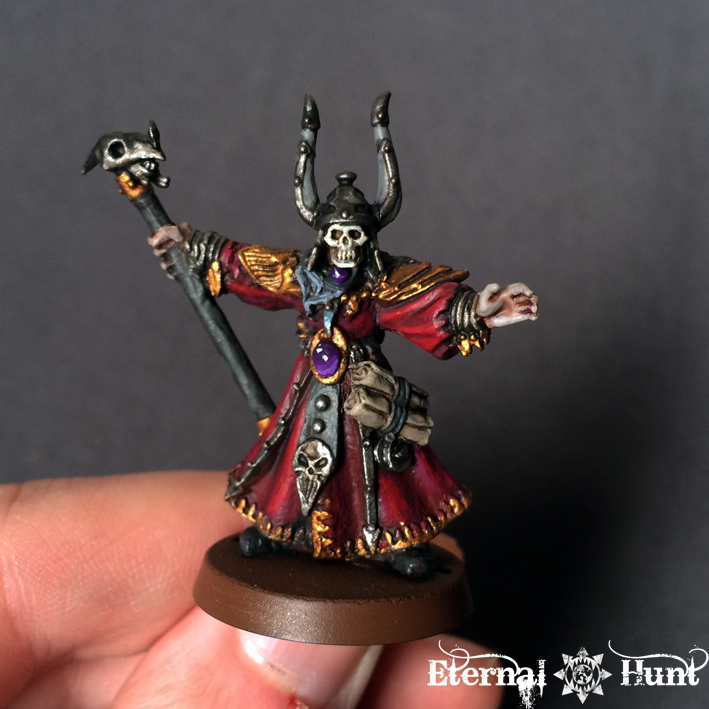 Now this seemed quite a bit closer to home — and it would also have the added benefit of perfectly matching GW’s classic “Red Period” for chaos models. 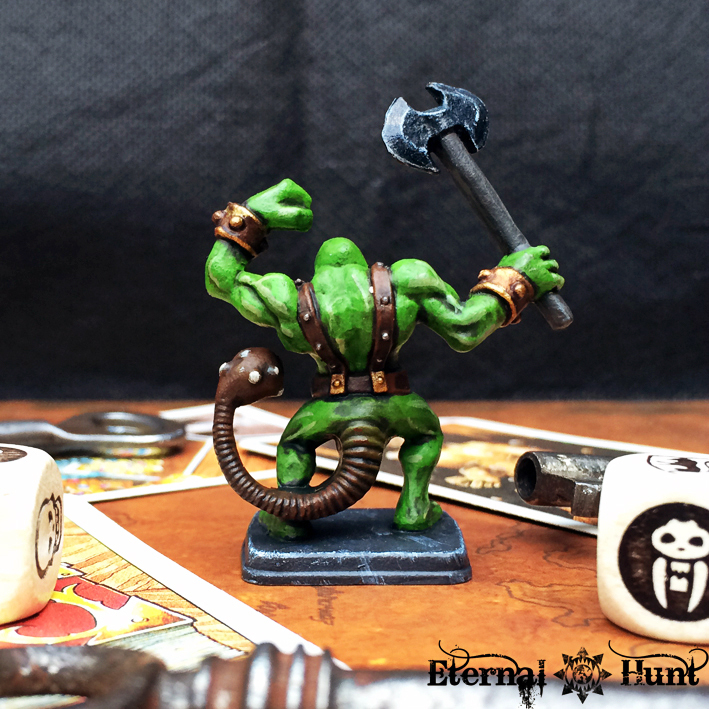 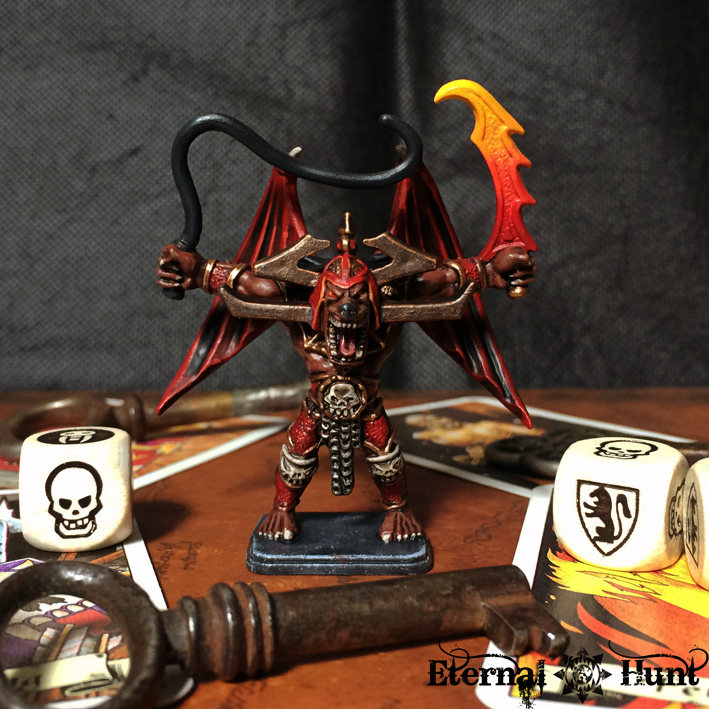 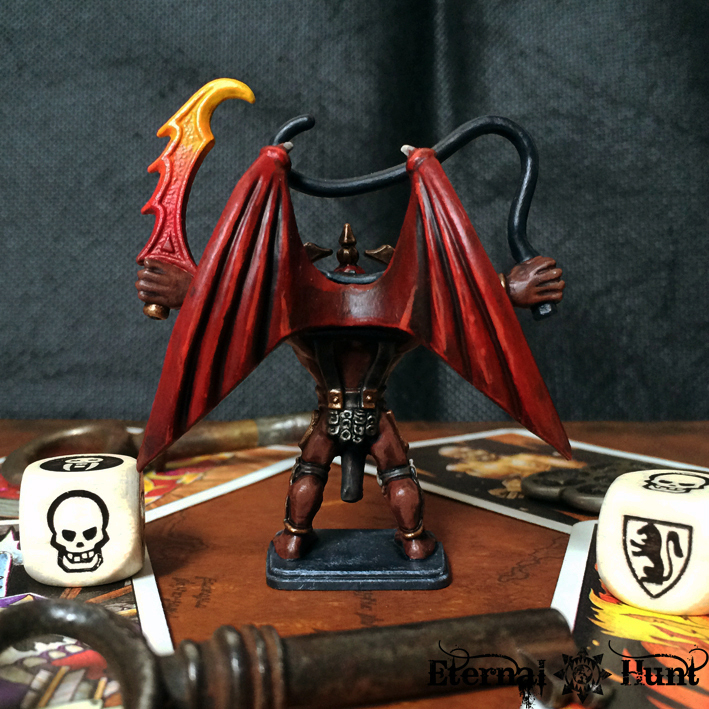 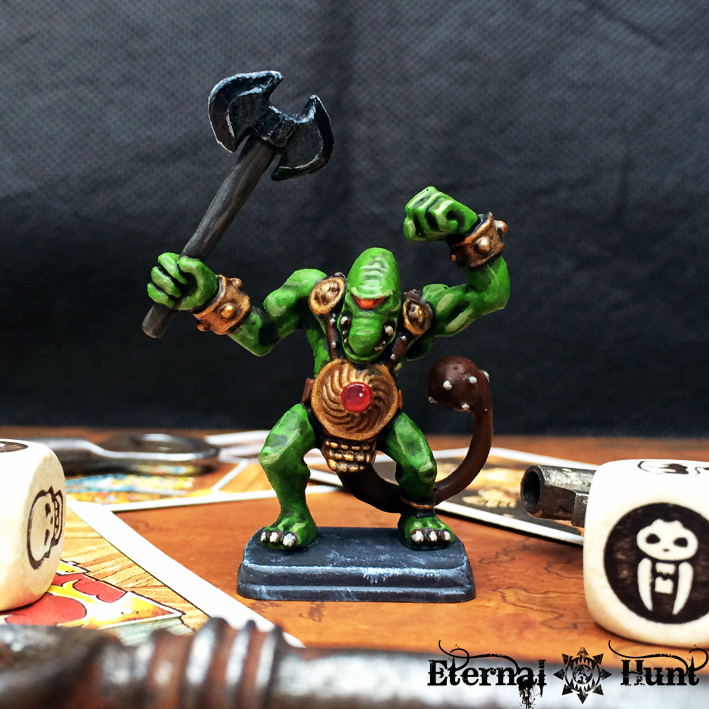 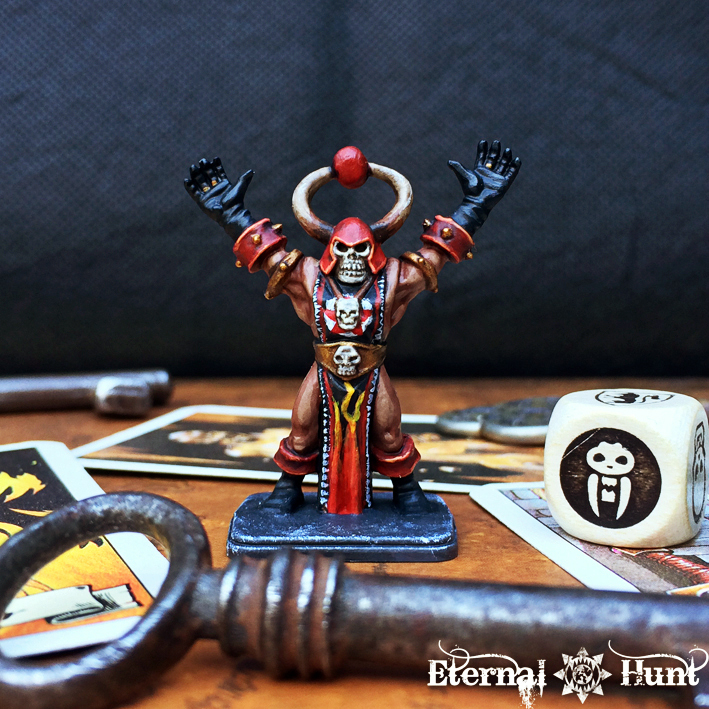 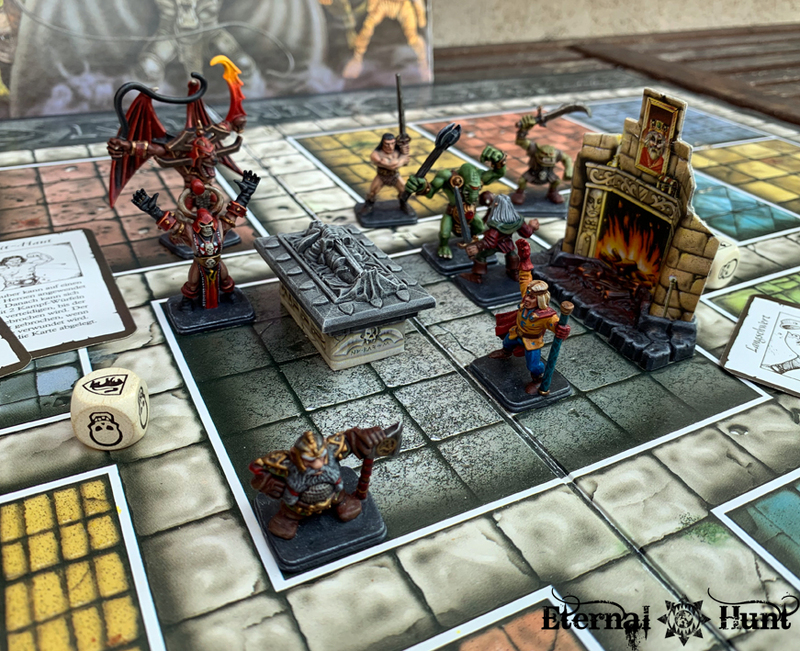 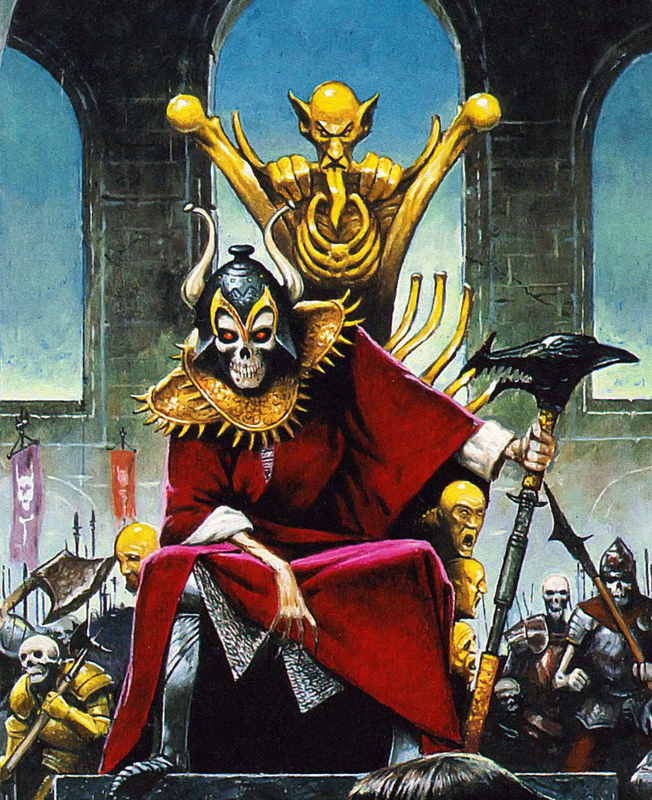 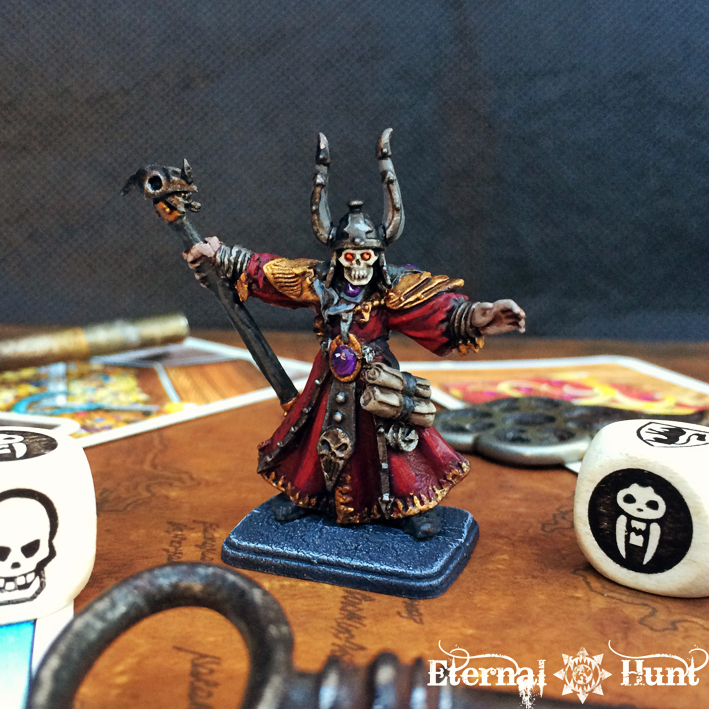 The Gargoyle may be the showiest, biggest and most complex monster in the HeroQuest box, but I think I like the Chaos Warlock even better — again, I blame being a huge fan of Skeletor during my childhood. 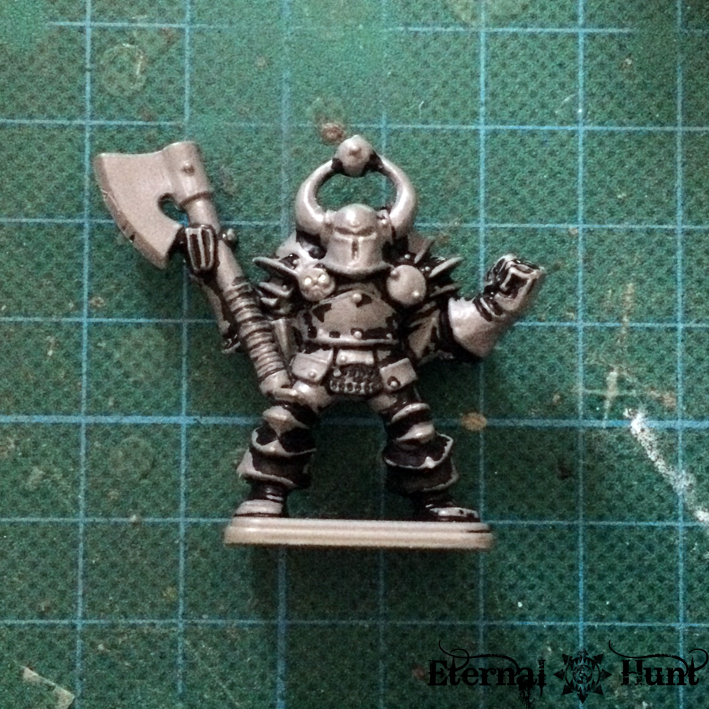 But even from a modern perspective, I think it’s one of the most interesting models in the box, and one that hasn’t really been superseded by flashier, subsequent Warhammer releases. 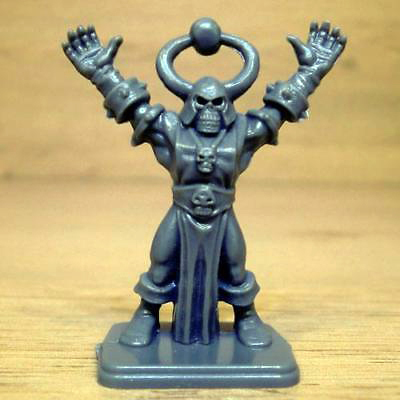 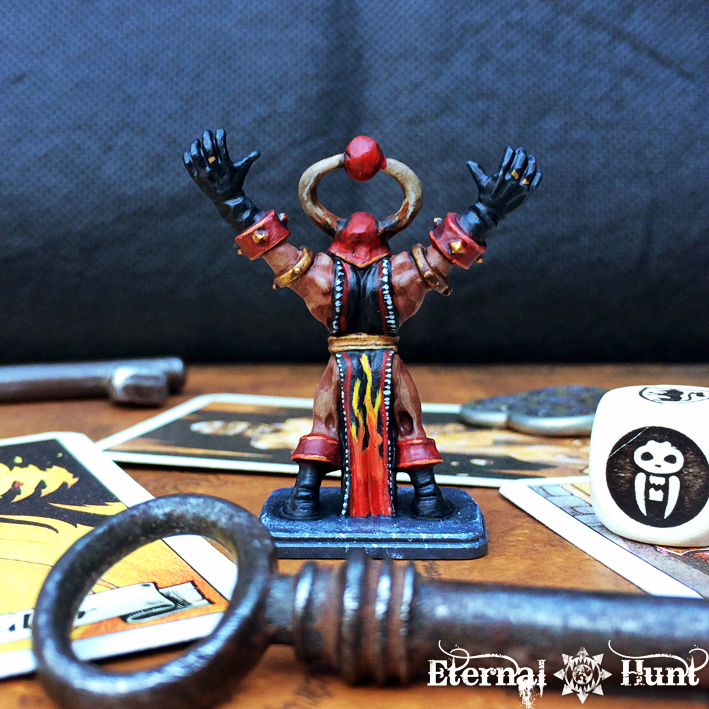 There’s also the iconic pose — anyway, to make a long story short, I think the Warlock is the coolest model in the entire HeroQuest box, period. 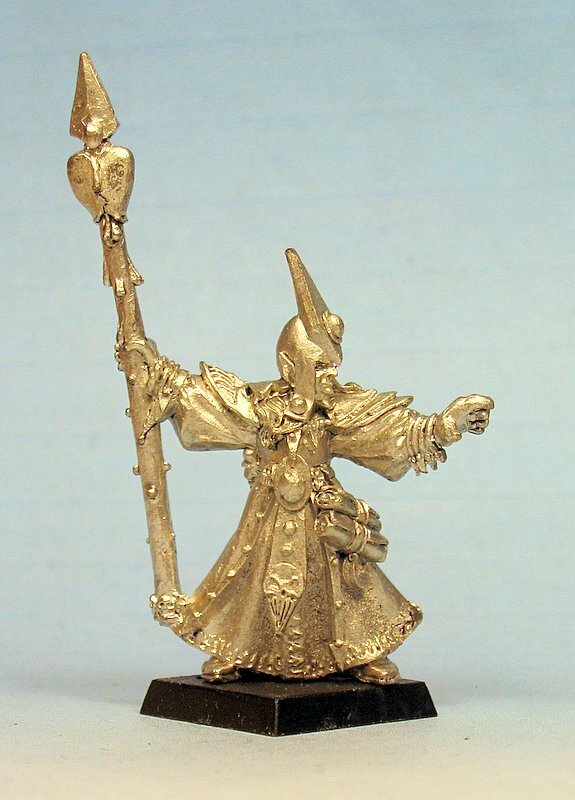 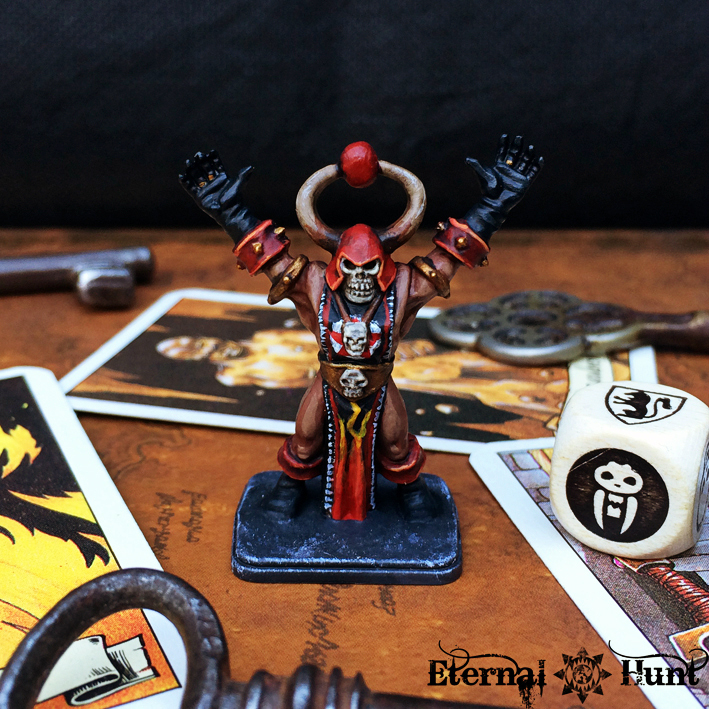 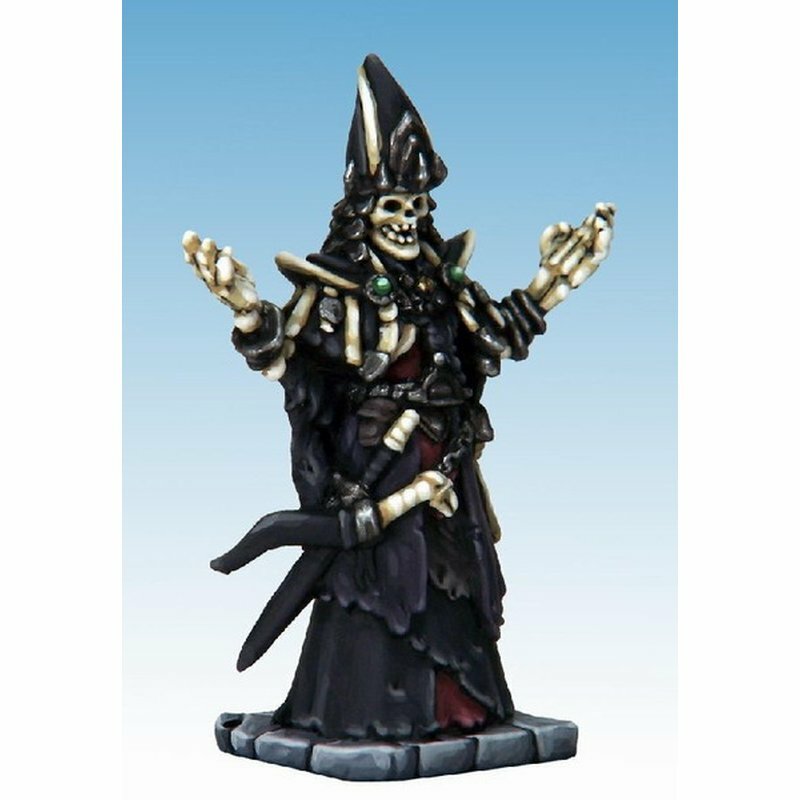 Another point of reference that helped immensely during the painting process was RemyT’s warlock (his are probably the best-painted HeroQuest models in existence), and his version actually used the plastic model, and not the metal pre-production prototype, which definitely helped. 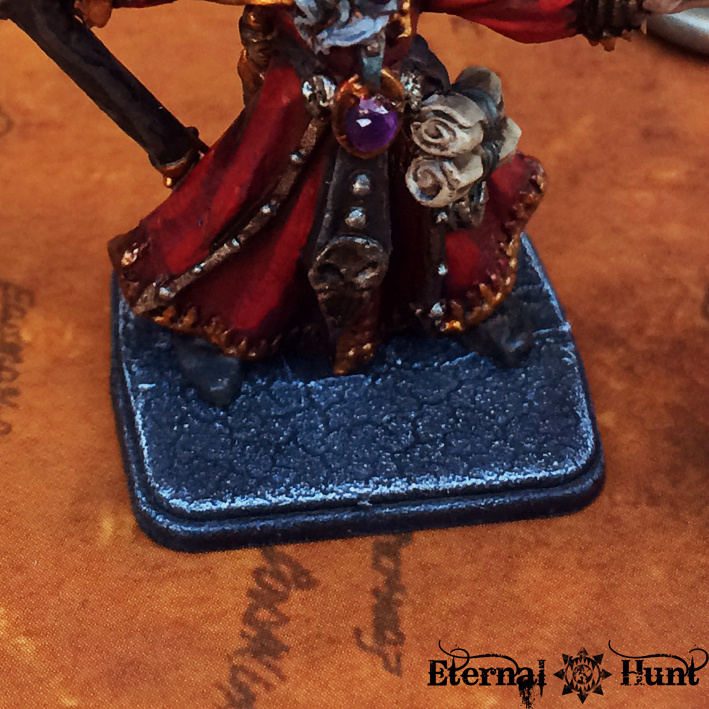 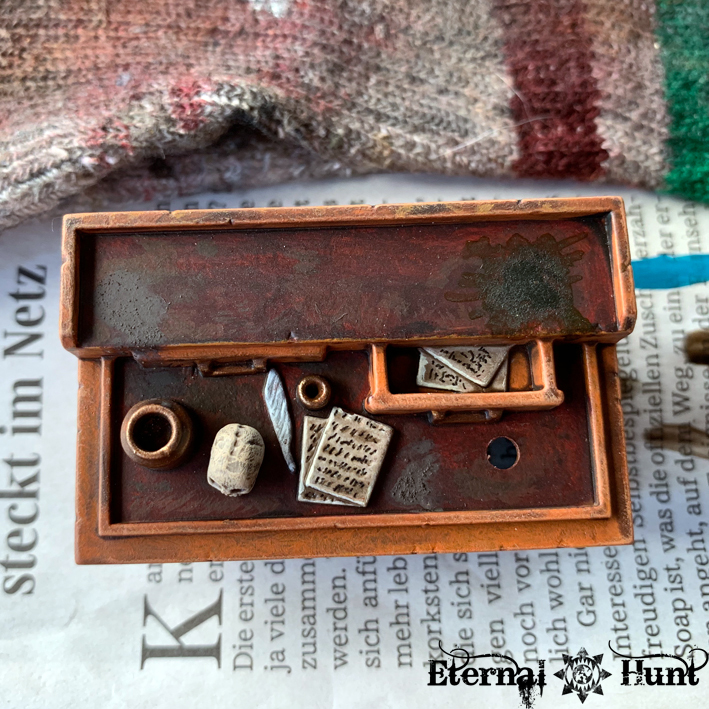 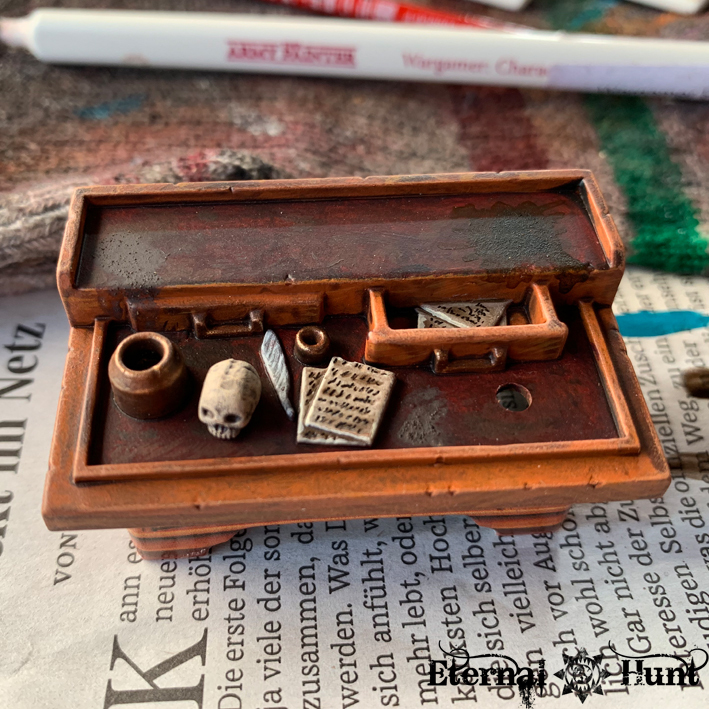 That said, my paintjob basically shows off the maximum of detail I could safely pull off, within the limits of my abilities as a miniature painter. 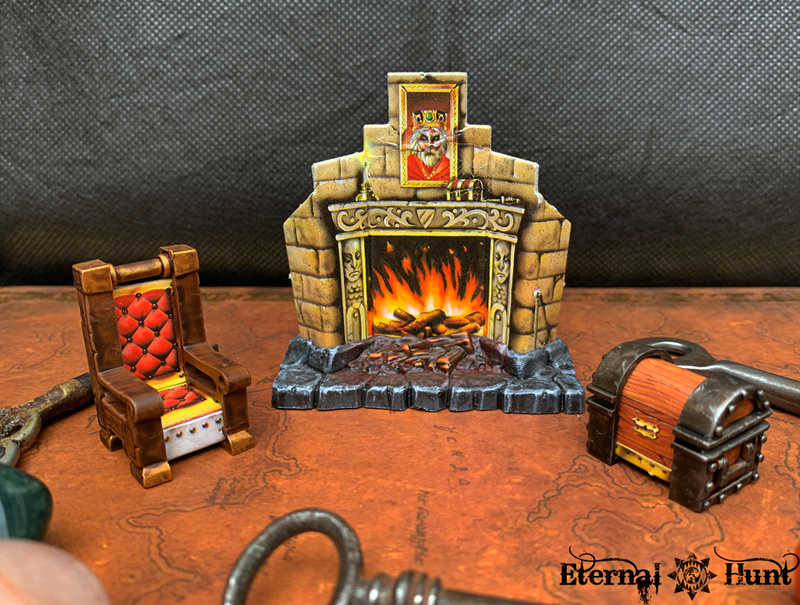 Like I said, I was really nervous about this particular model, and I would argue I have managed to do it justice, at least to the best of my abilities. 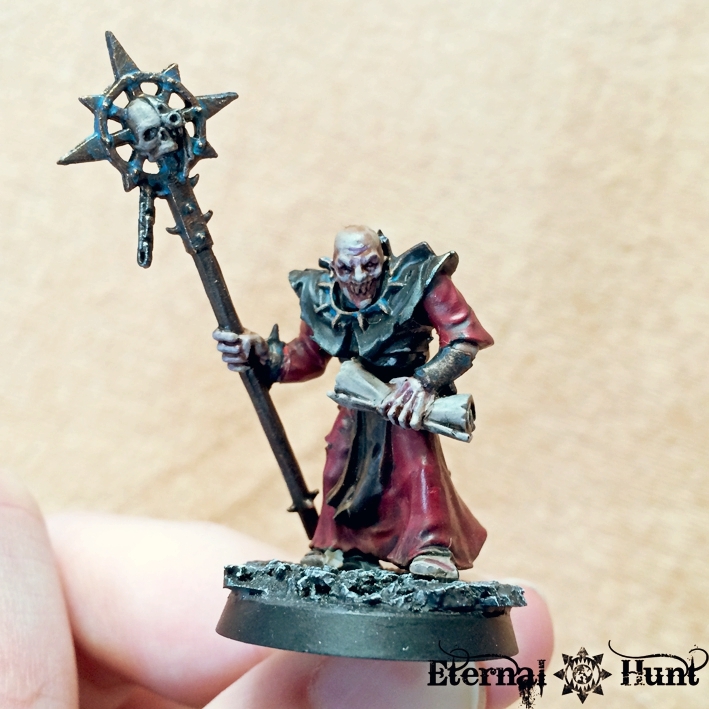 In spite of not achieving the exact same level of detail visible on Mike McVey’s and Remy’s models, I am still really, really proud of the finished model, if I do say so myself: Finally having painted the warlock to this standard was one of the moments I was really looking forward to when I started this model! 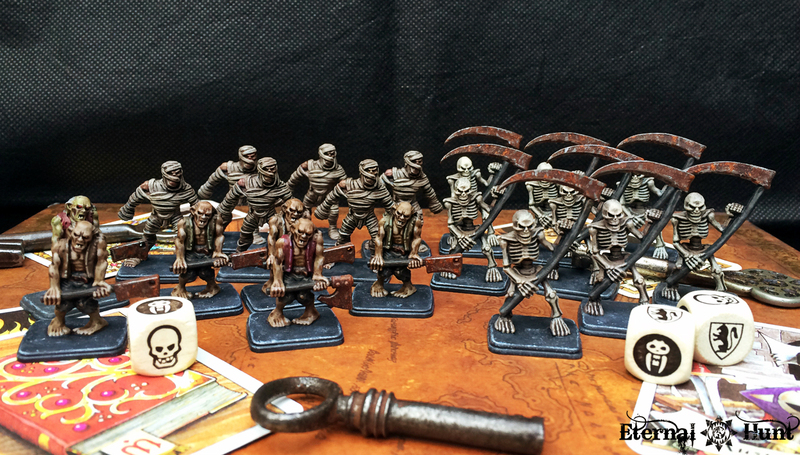 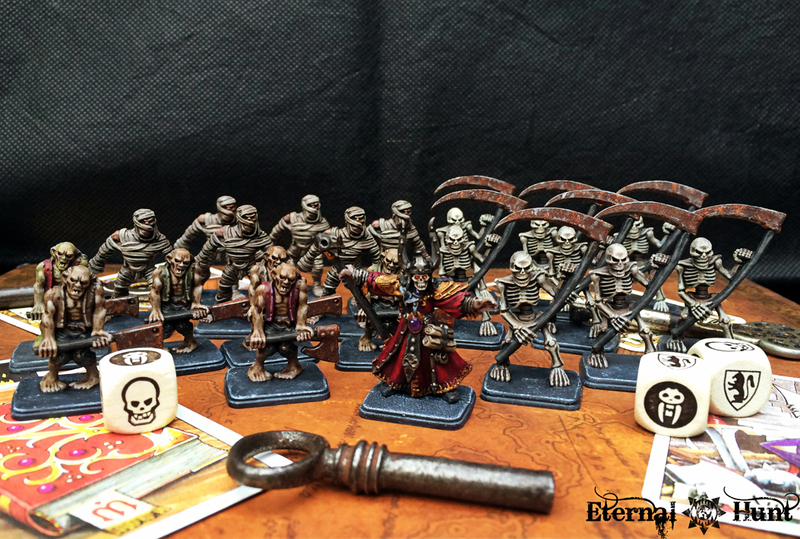 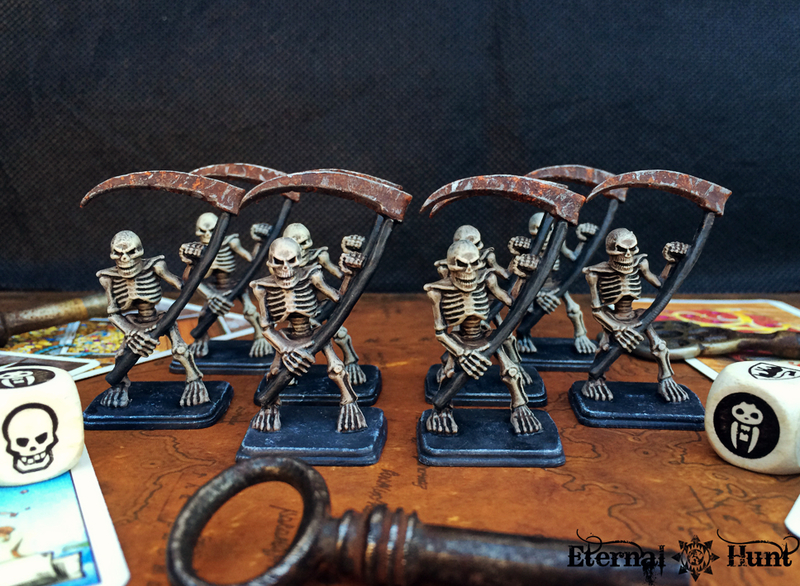 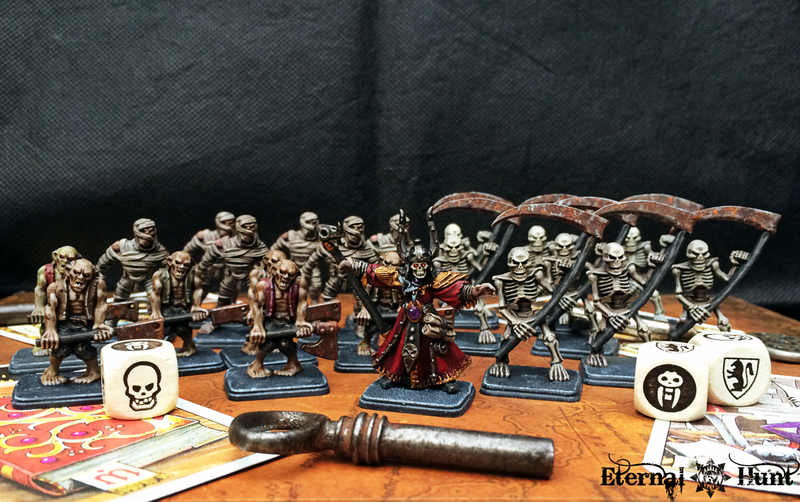 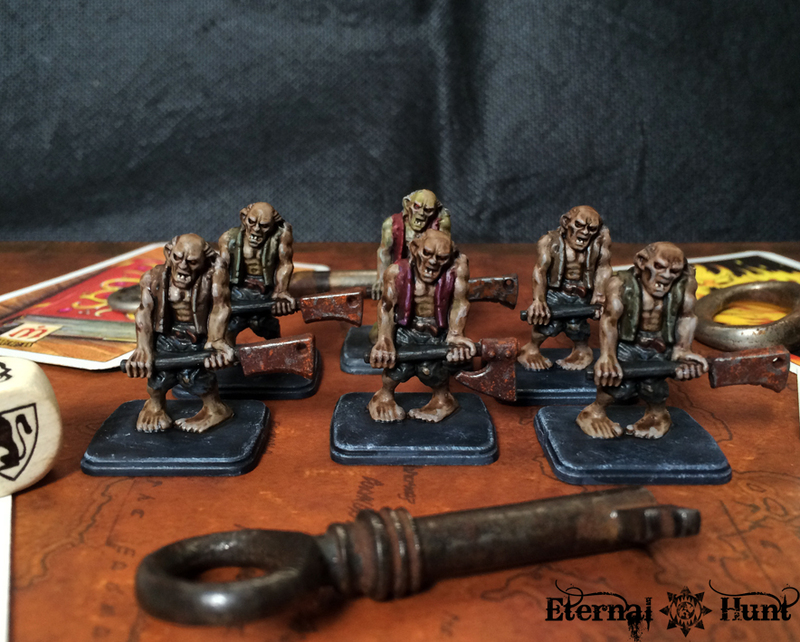 So with the Zombies finished, I next turned my attention to the Skeletons.